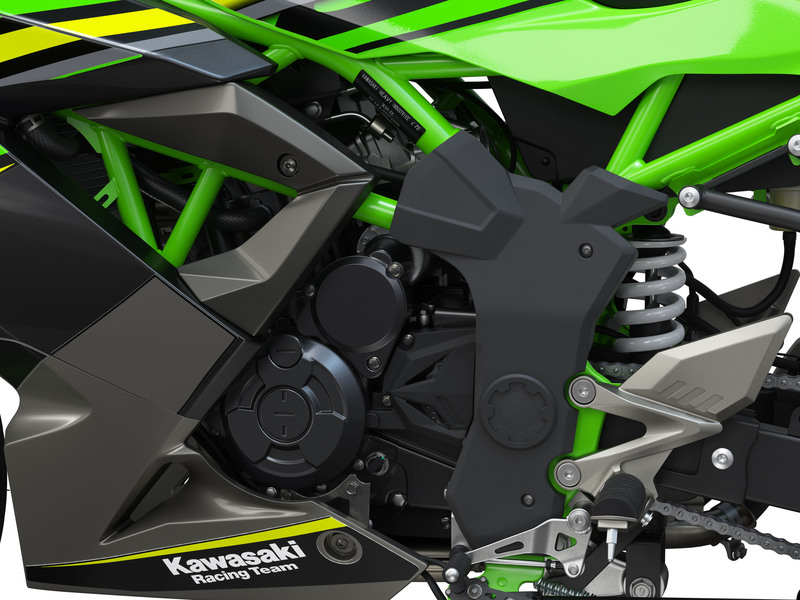 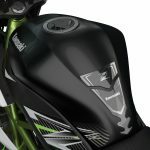 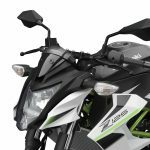 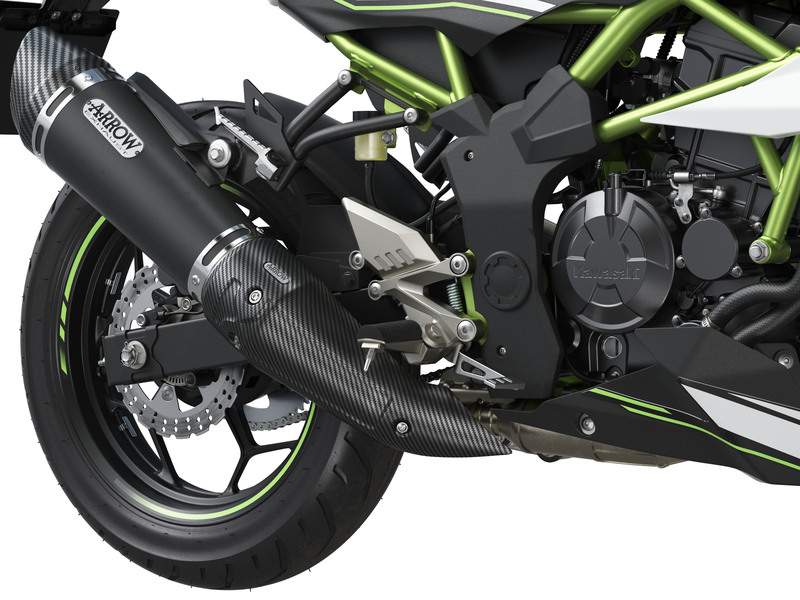 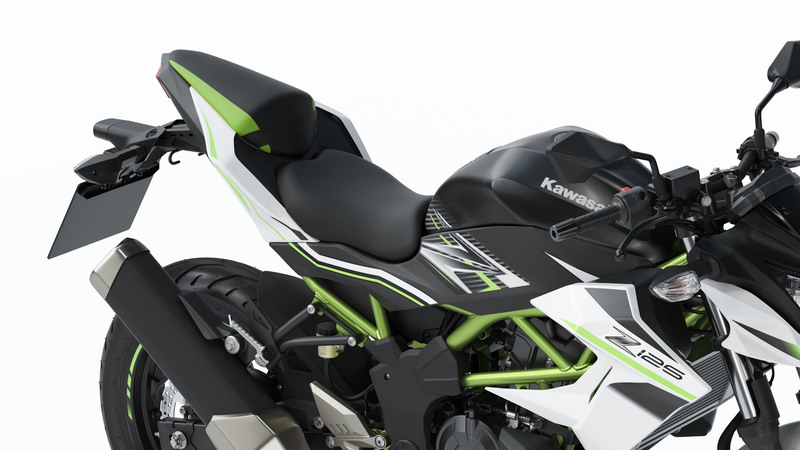 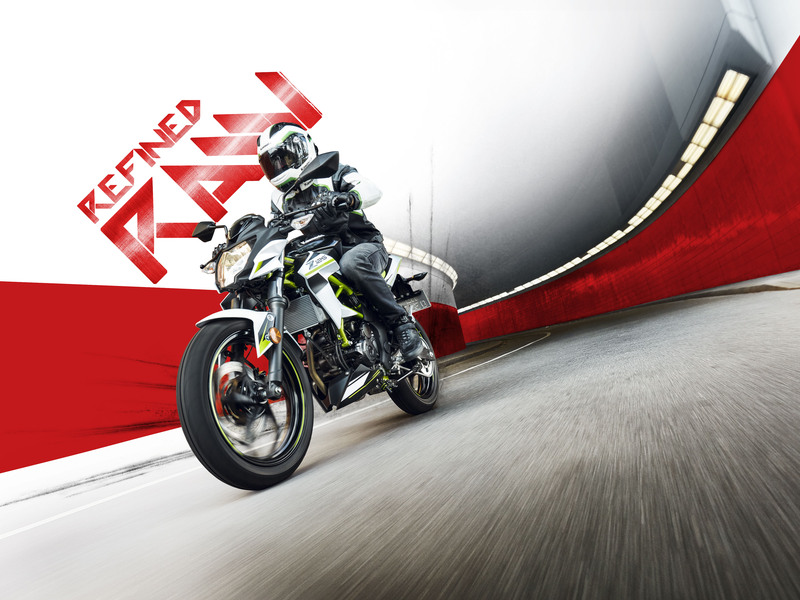 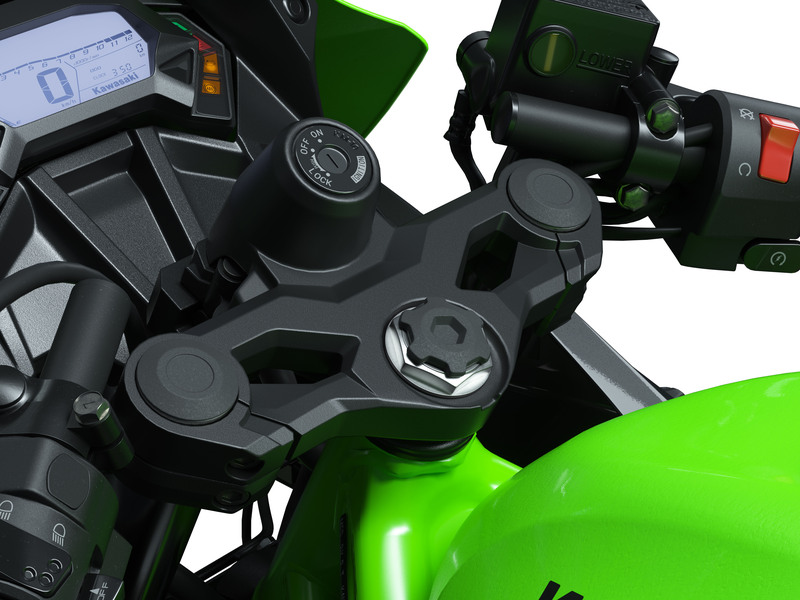 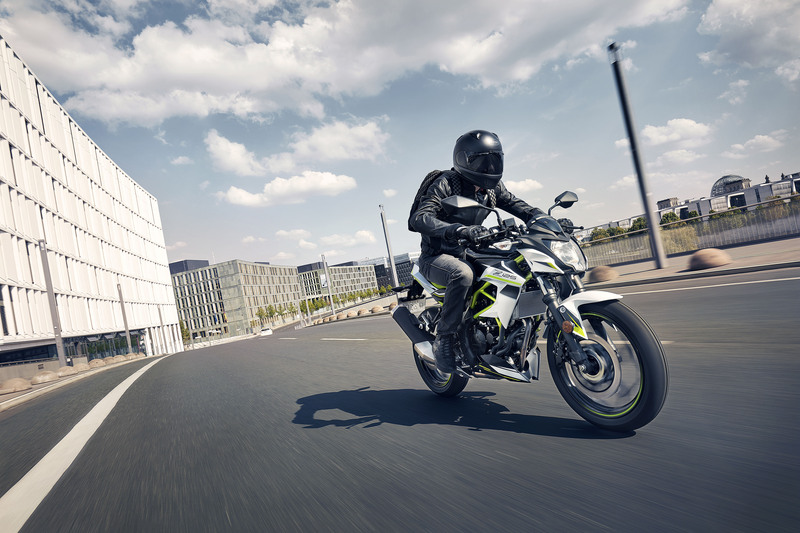 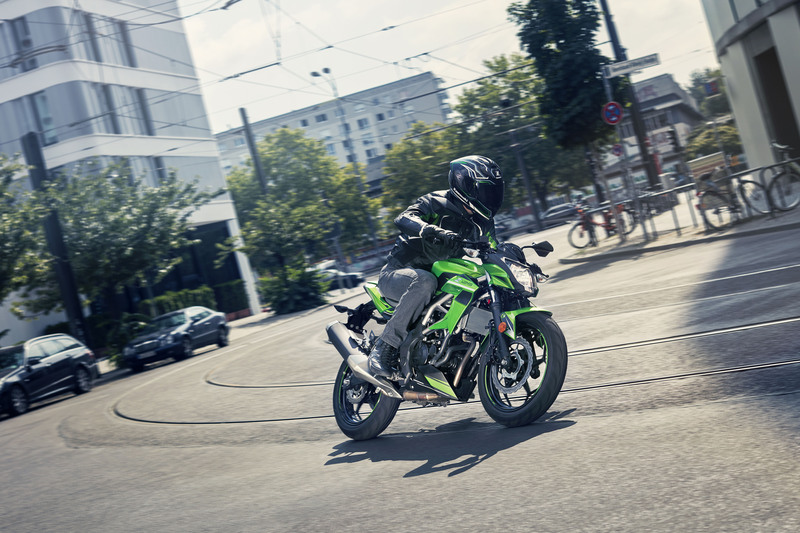 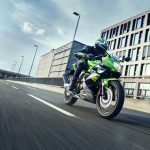 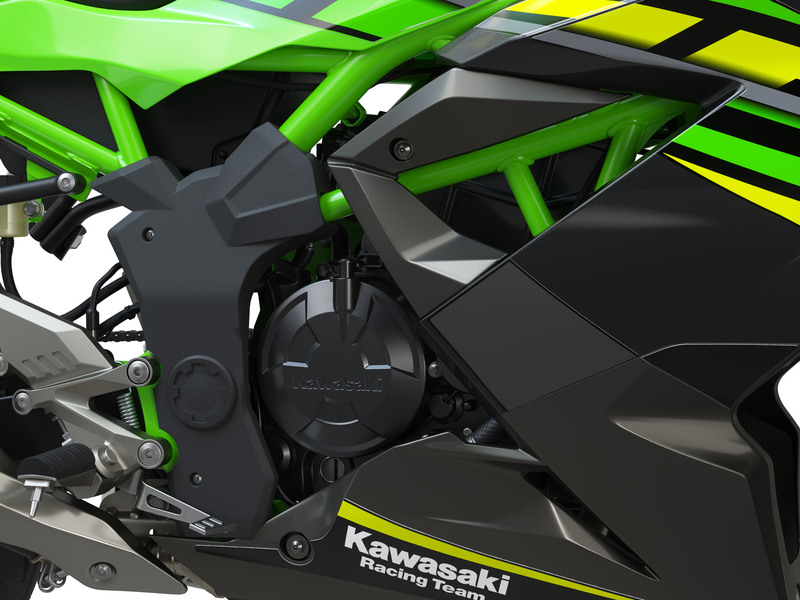 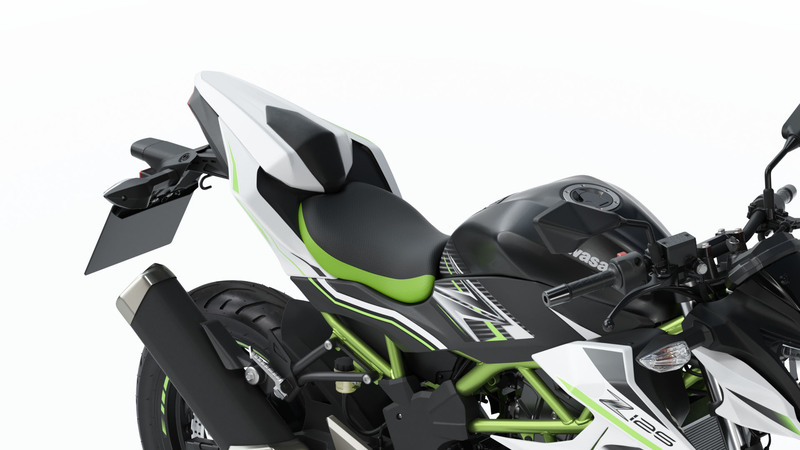 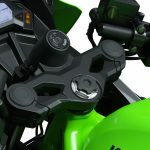 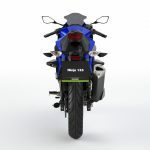 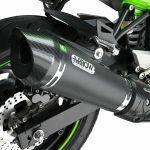 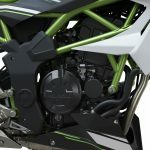 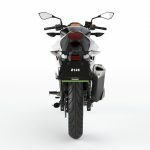 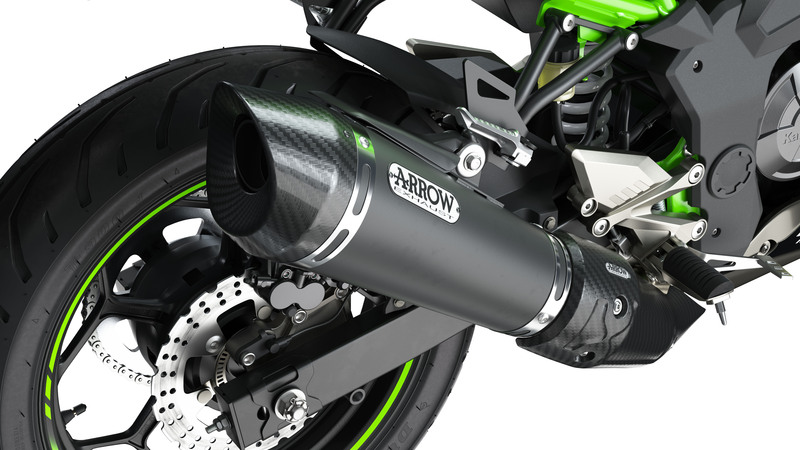 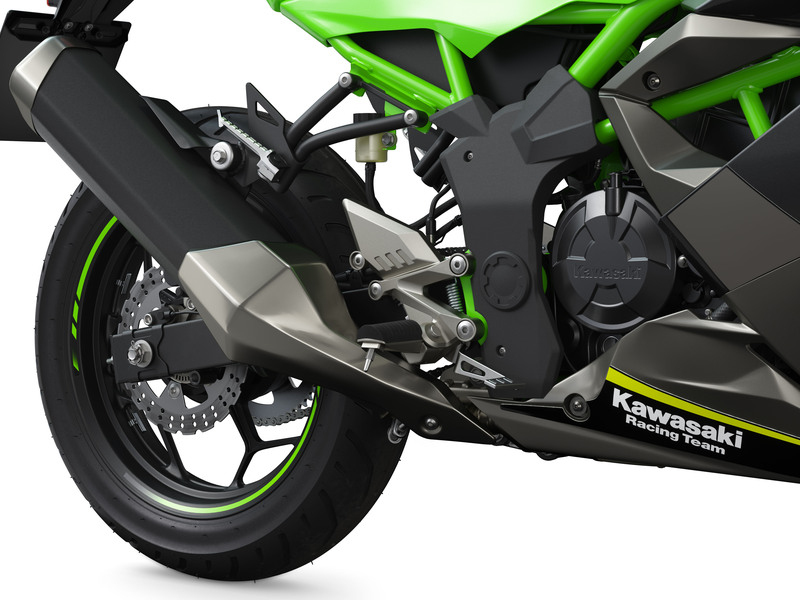 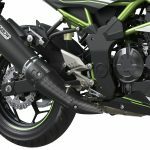 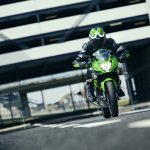 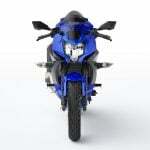 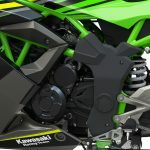 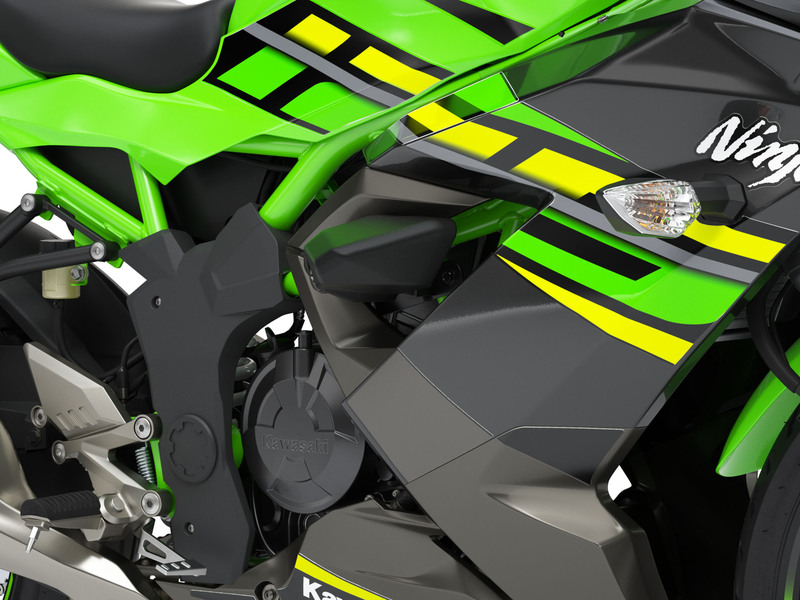 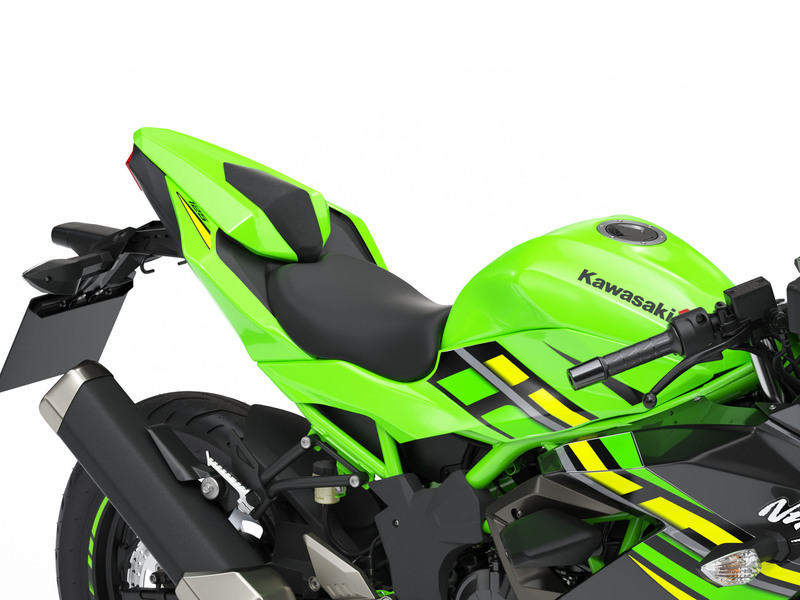 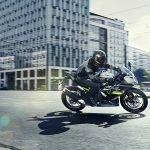 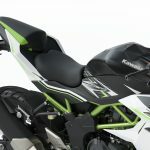 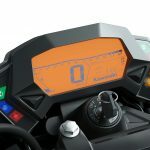 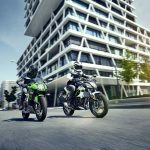 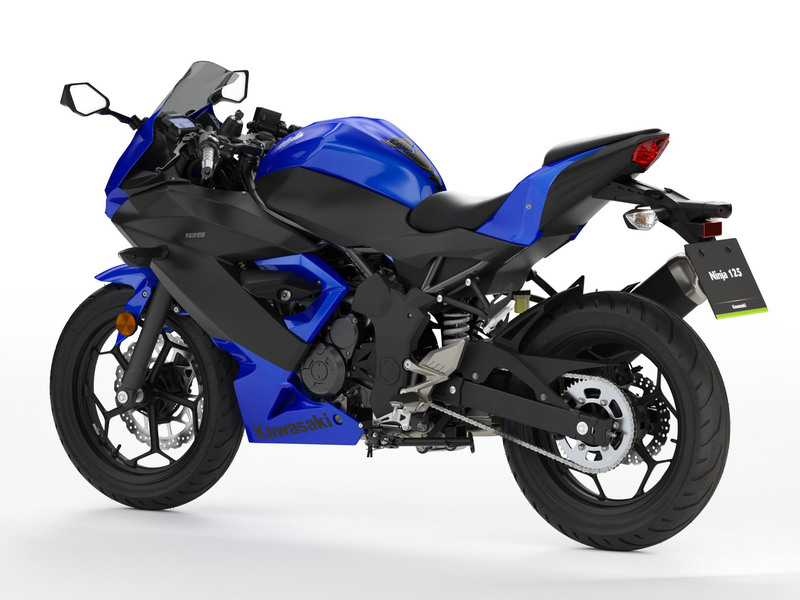 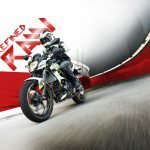 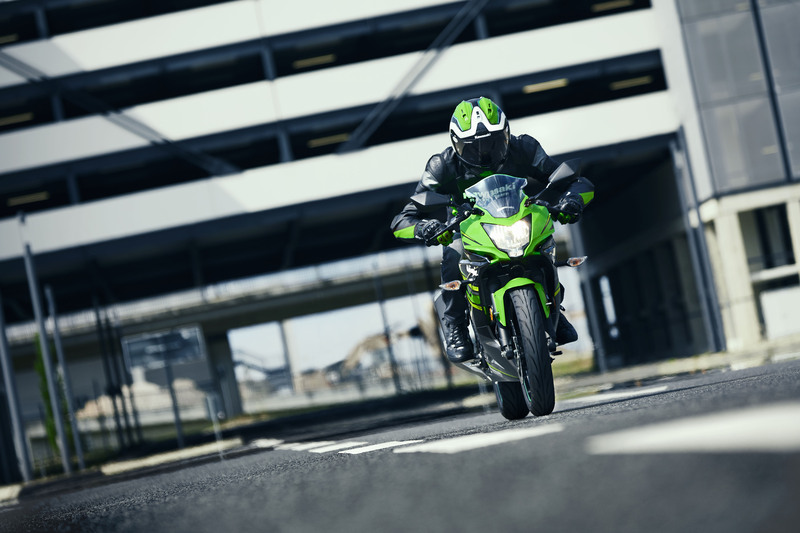 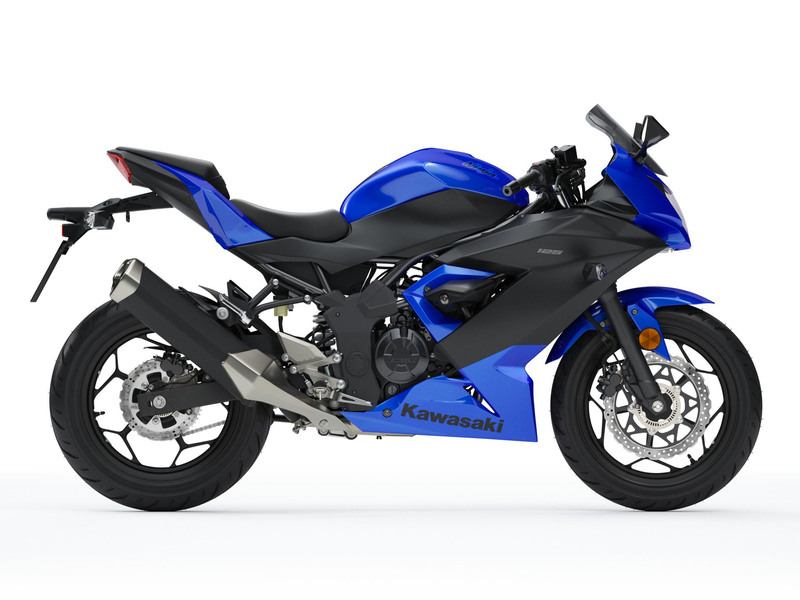 Kawasaki revealed two small-displacement models for Europe’s A1 entry-level licensing tier. 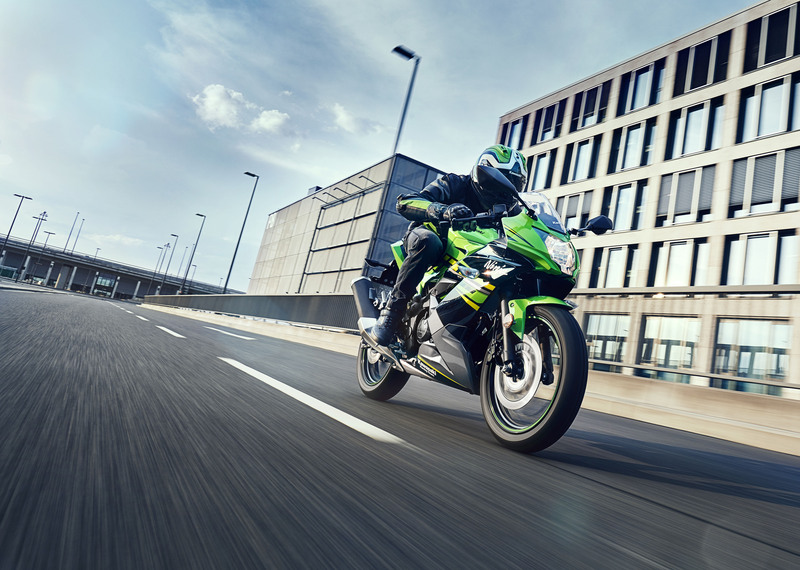 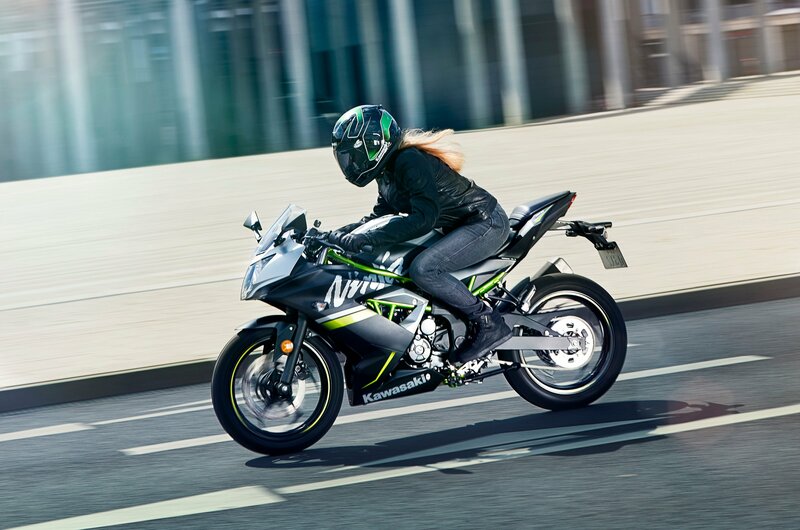 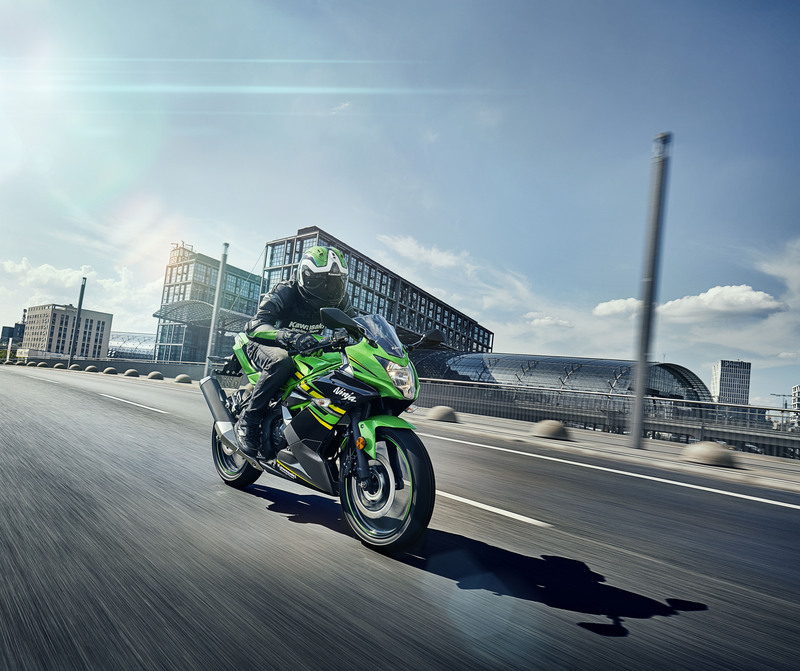 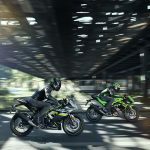 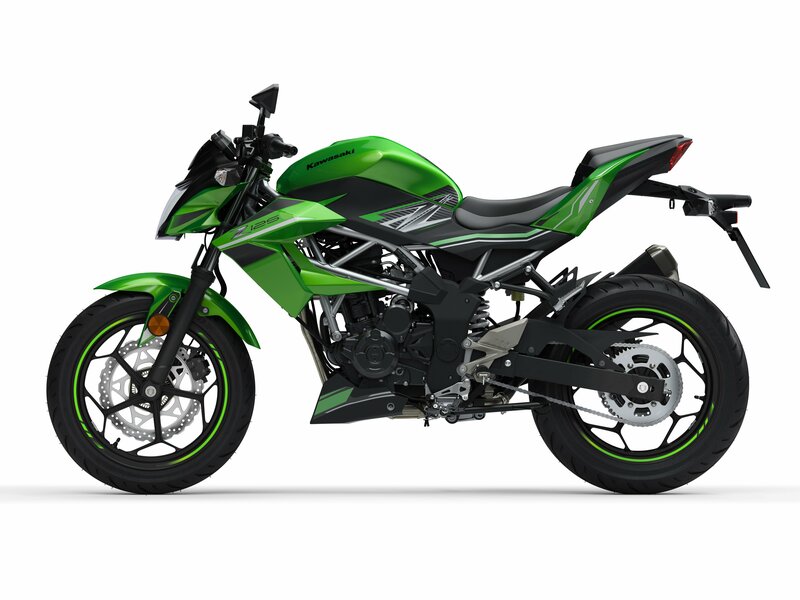 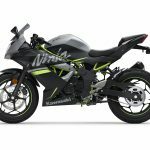 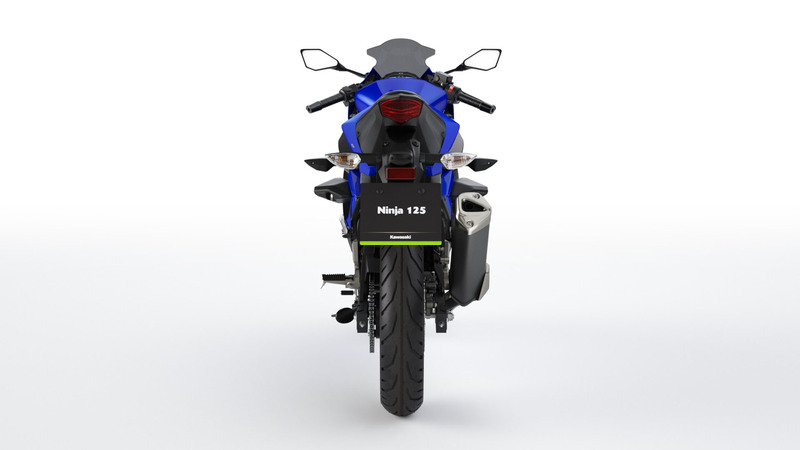 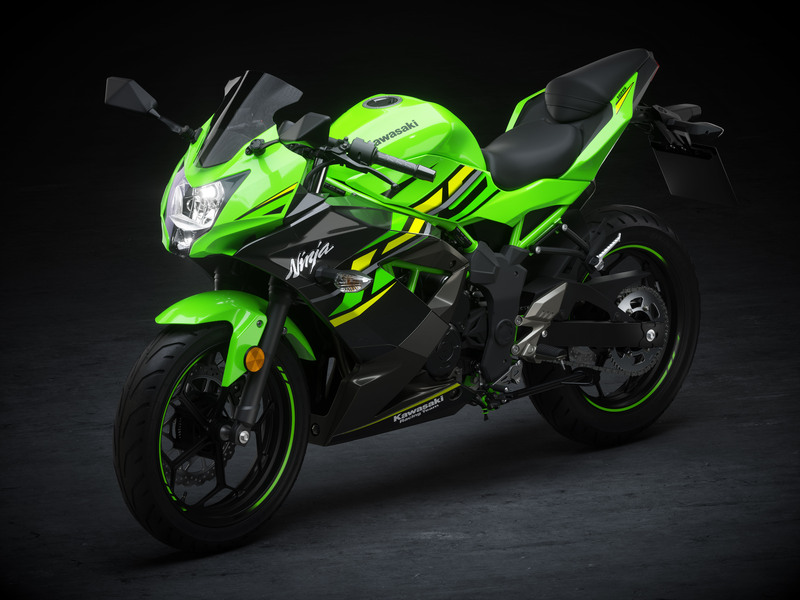 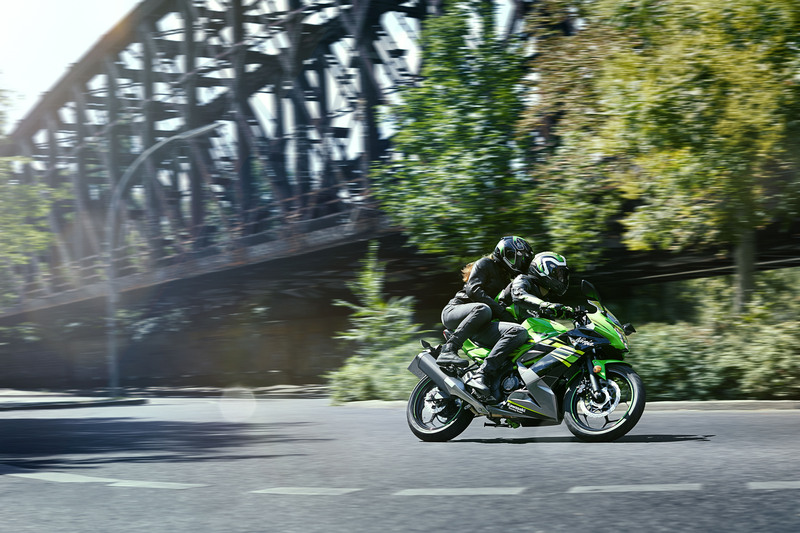 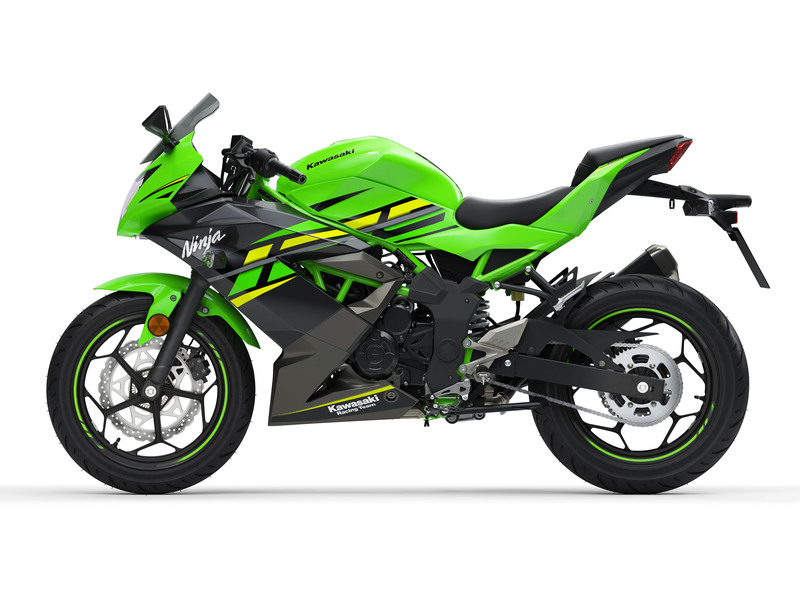 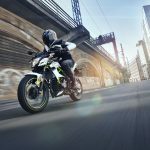 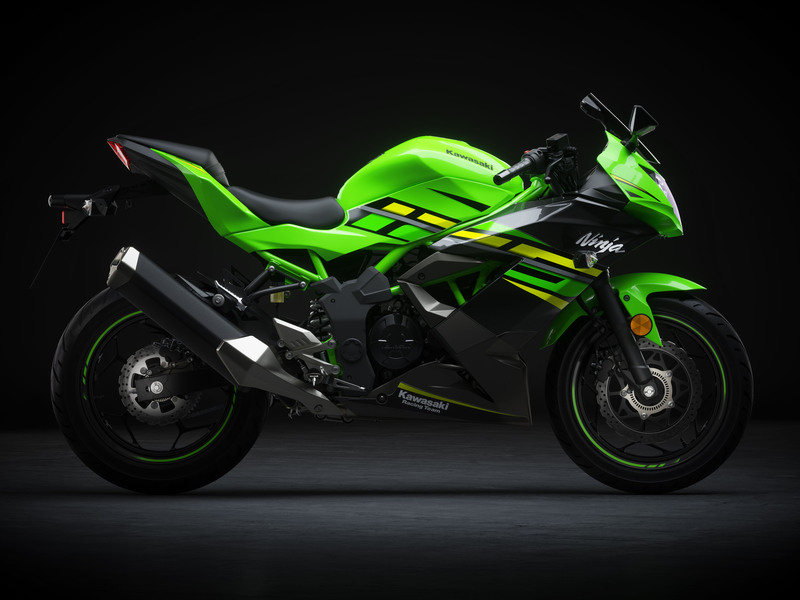 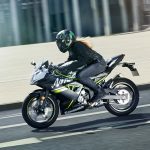 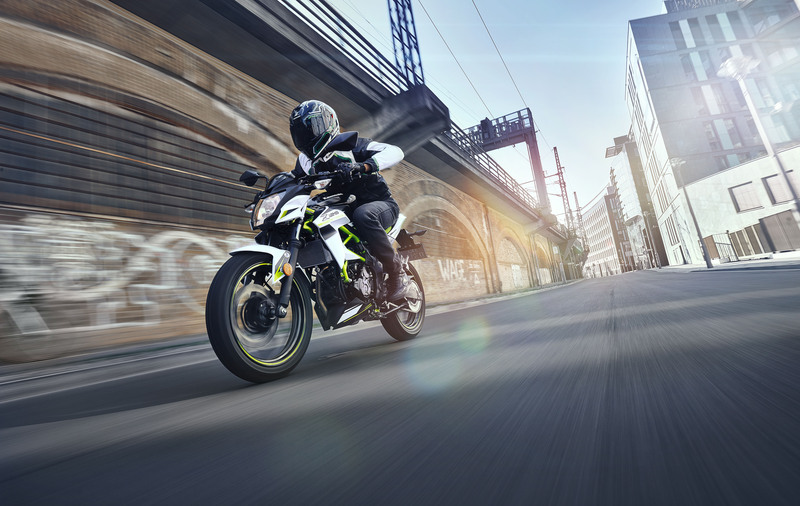 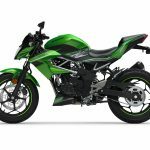 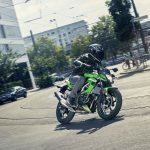 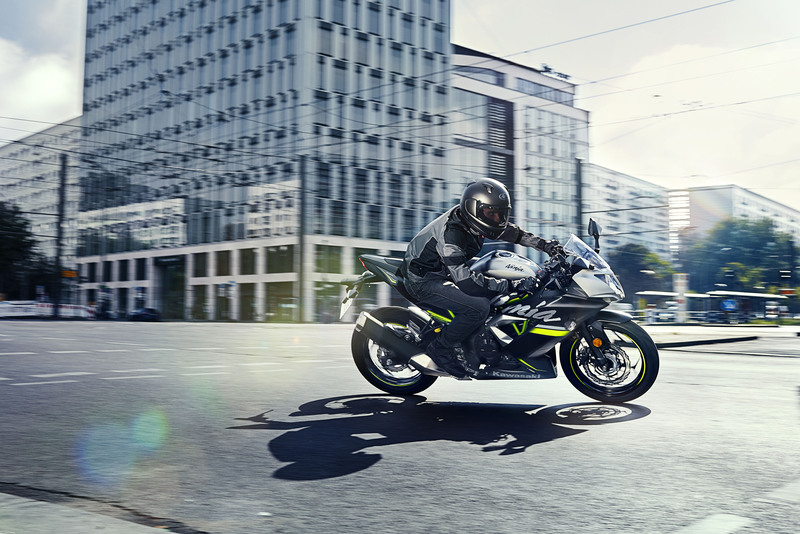 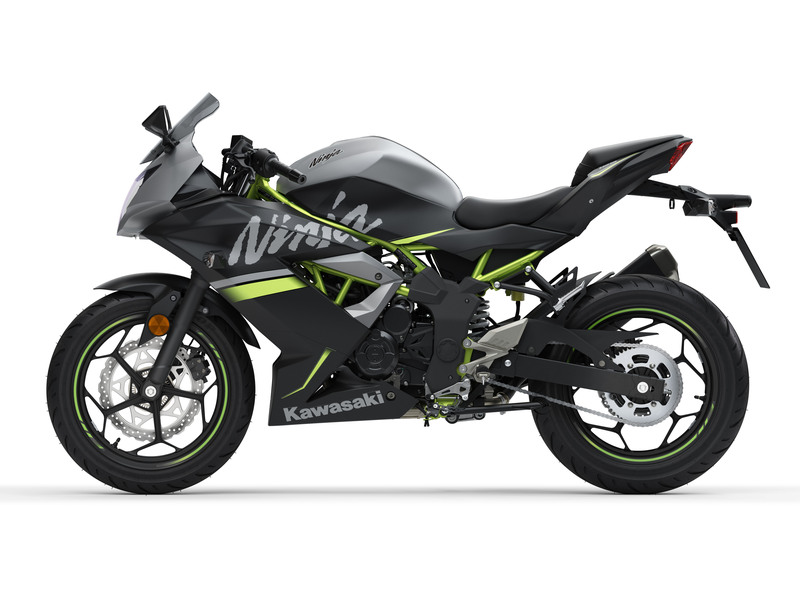 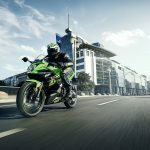 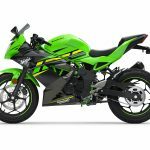 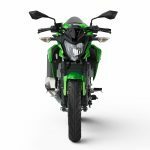 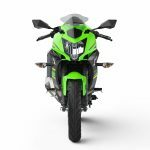 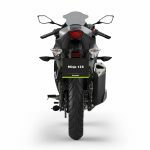 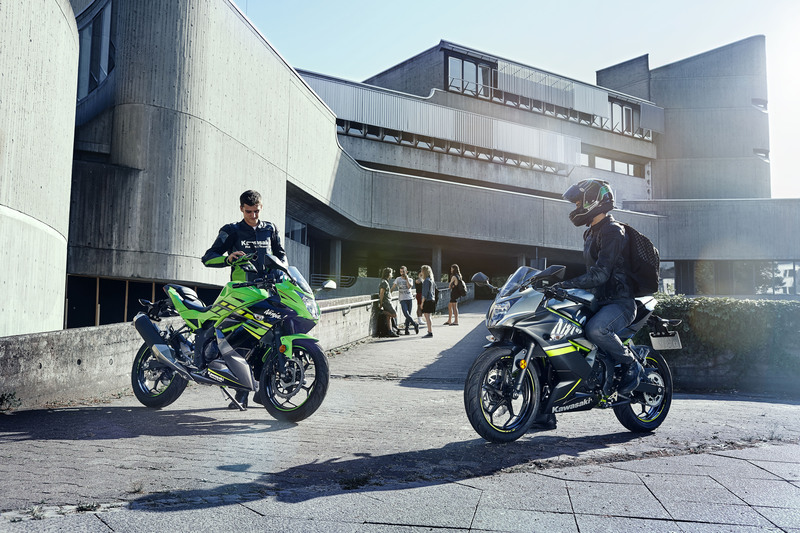 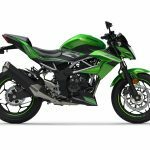 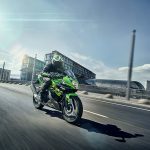 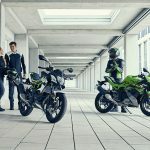 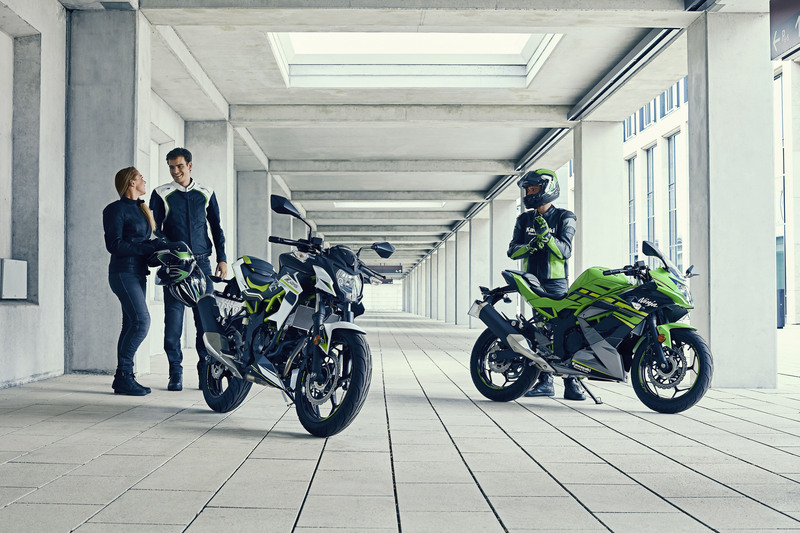 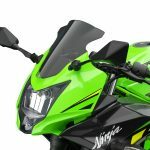 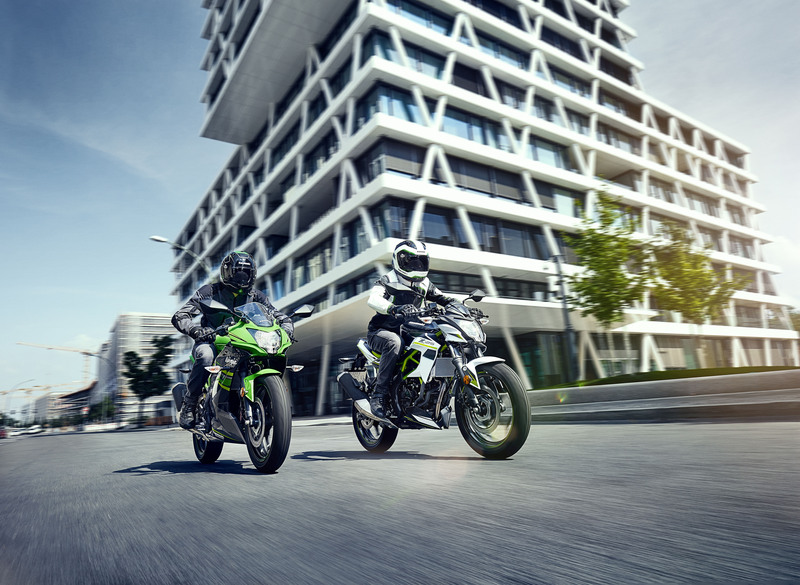 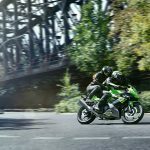 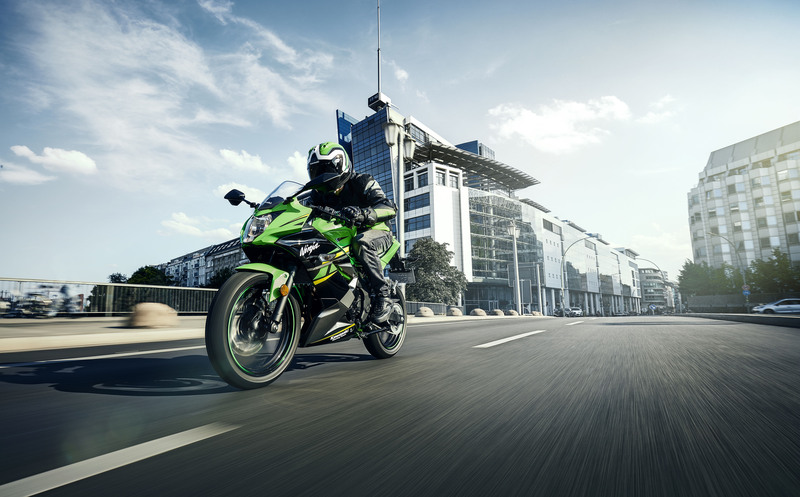 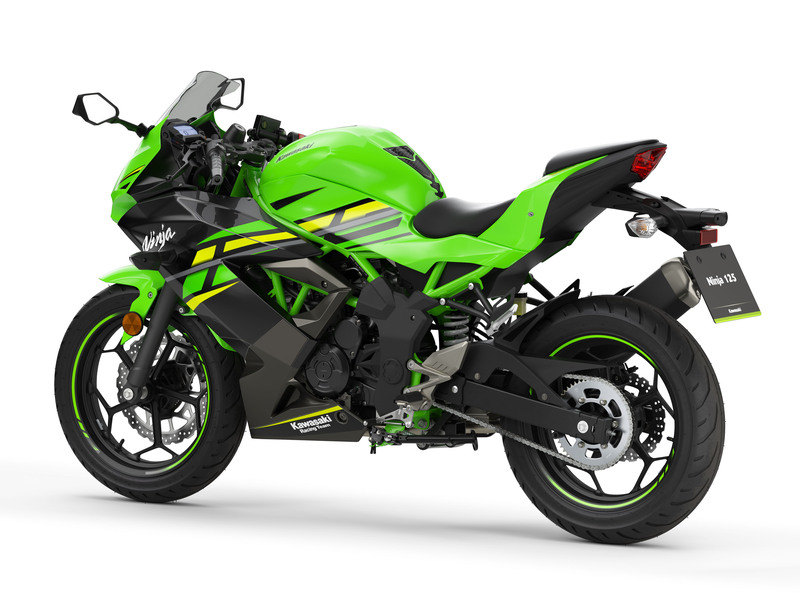 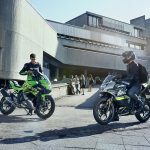 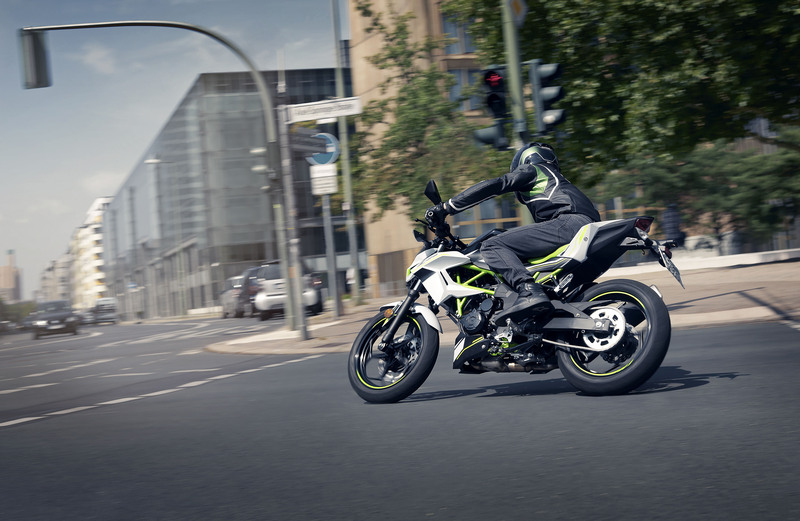 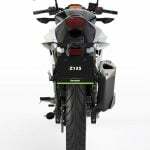 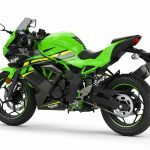 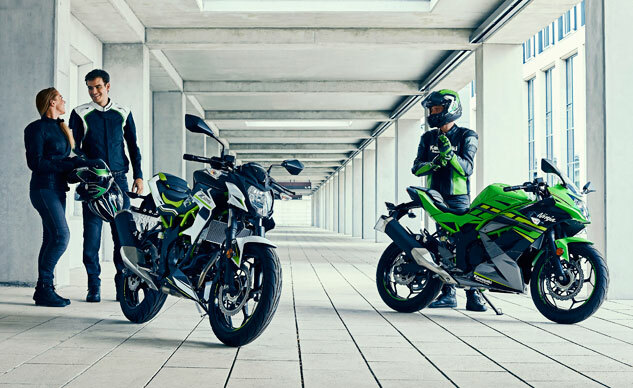 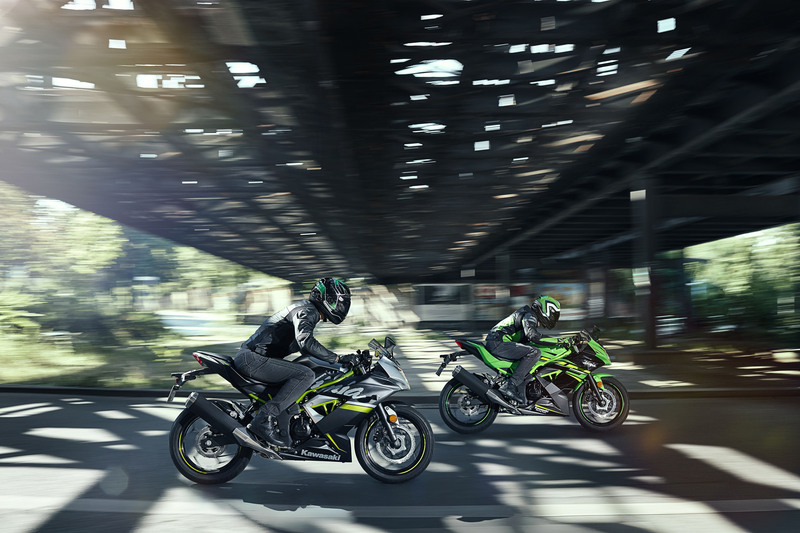 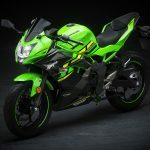 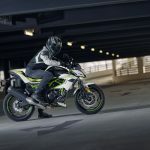 The 2019 Kawasaki Ninja 125 and Z125 share a 125cc engine, a full-size chassis with 17-inch wheels and similar styling to the larger Ninja and Z models. 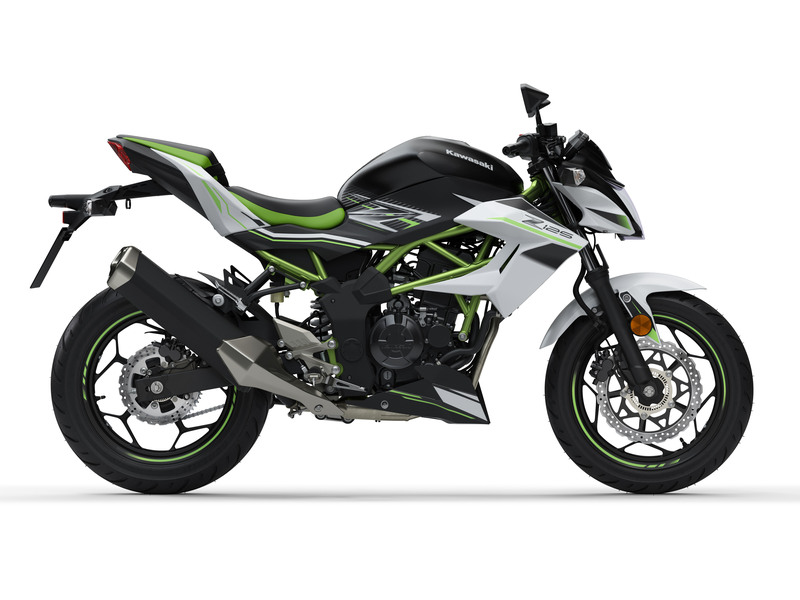 Unfortunately, neither model is likely to come to North America where there’s no equivalent to the A1 class to create enough of a market. 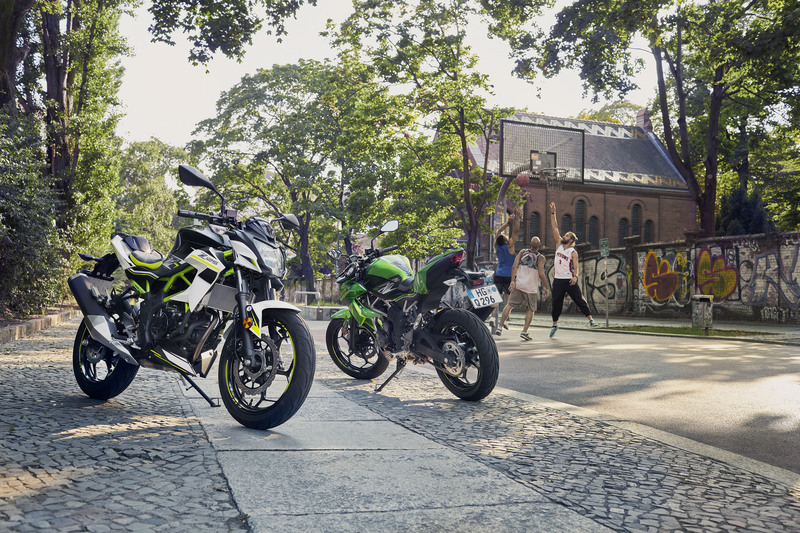 It’s a shame, though, as these two look like they could be a lot of fun. 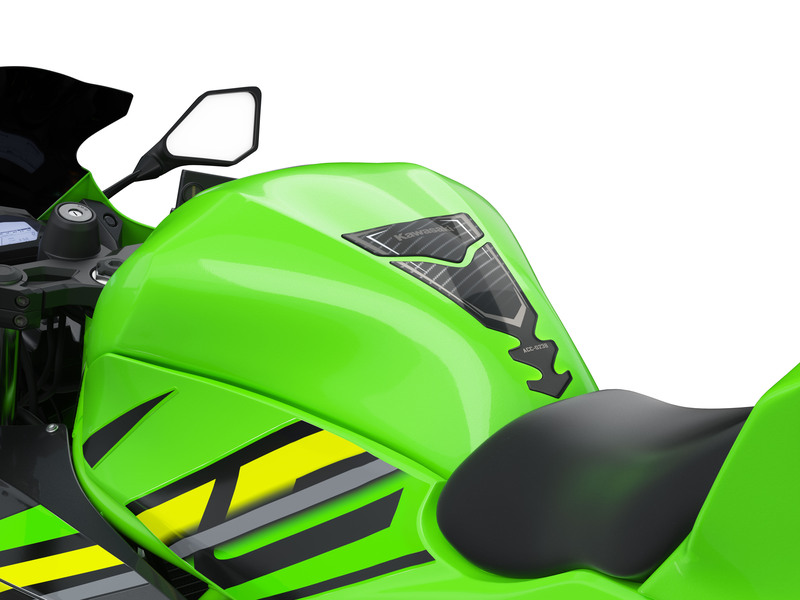 The water-cooled 125cc four-valve DOHC Single claims 14.8 hp at 10000rpm and 8.6 lb-ft. at 7700 rpm. 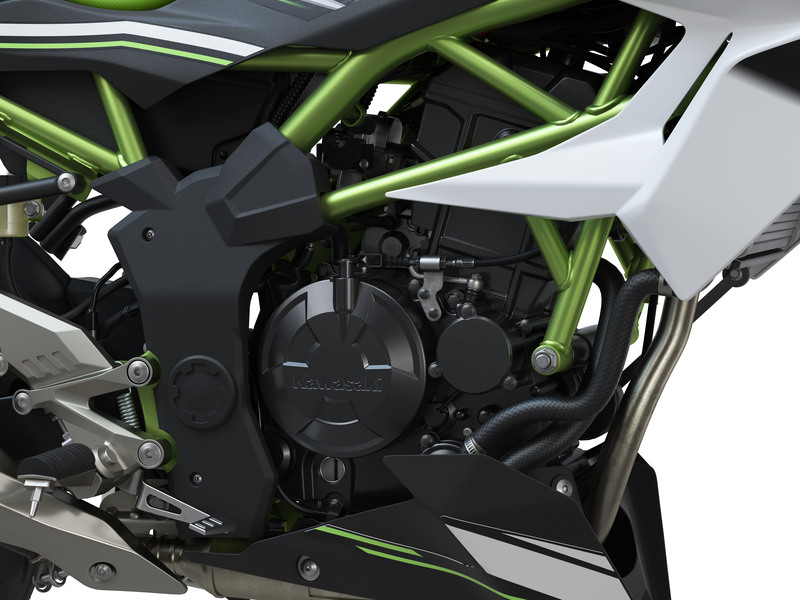 The engine is tuned for speeds below 100 kph (62 mph), while offering a bit of punch at higher revs. The engine is paired with a six-speed transmission. 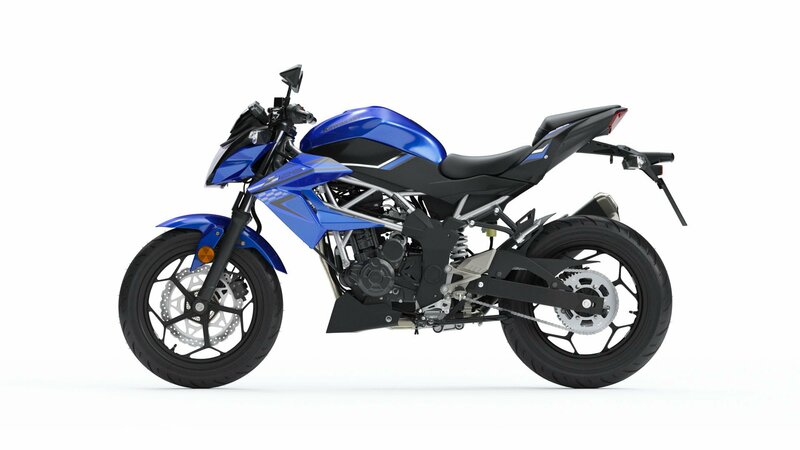 Like the larger Z and Ninja bikes, both 125 models share a steel trellis frame balancing rigidity with a slim package and lighter weight. 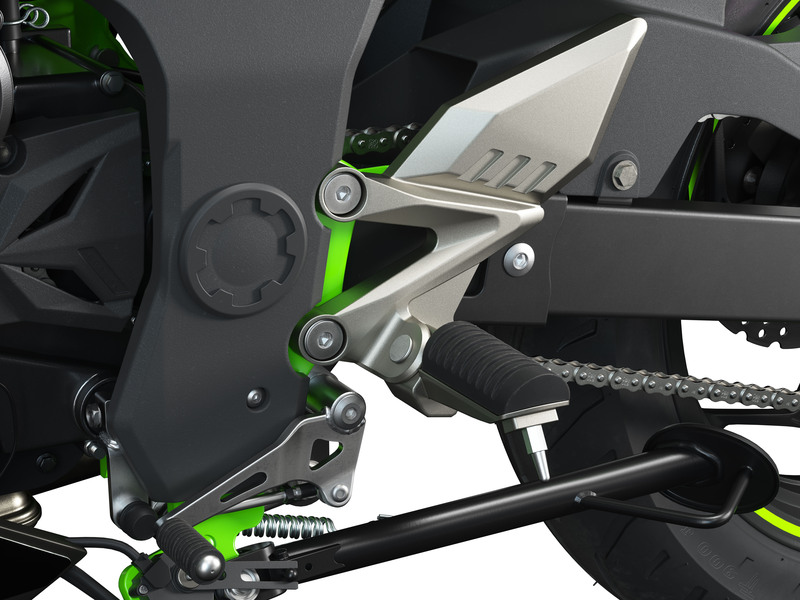 Up front, a 37mm telescopic fork offers 4.33 inches of travel while the rear uses a five-way preload adjustable Uni Track suspension. 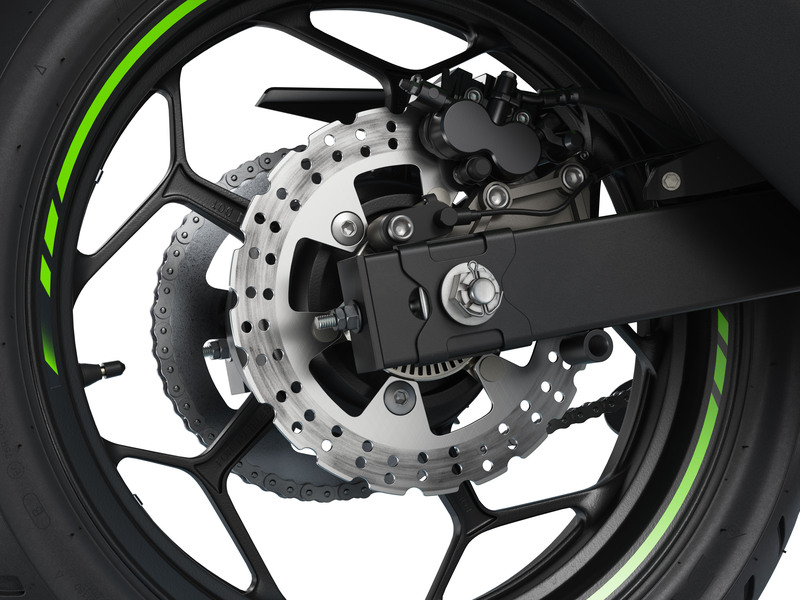 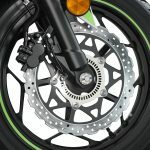 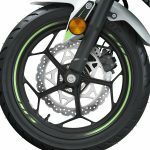 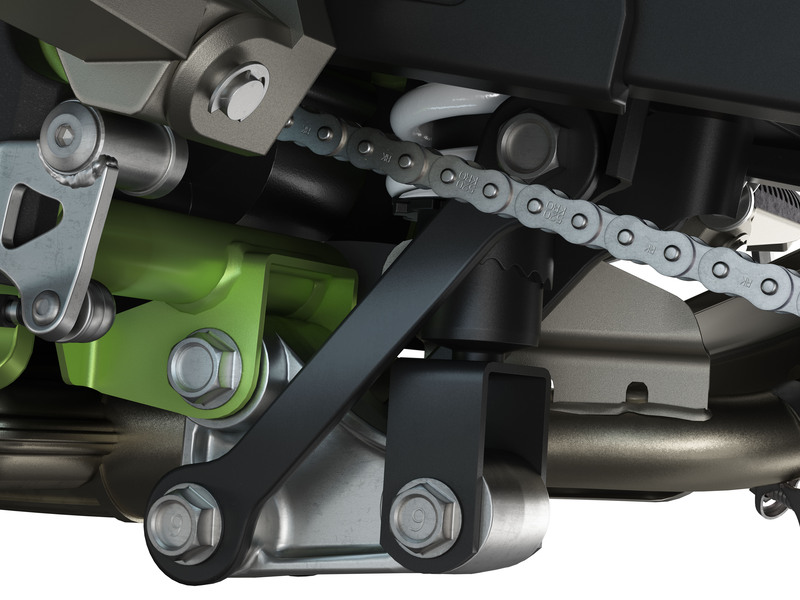 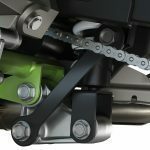 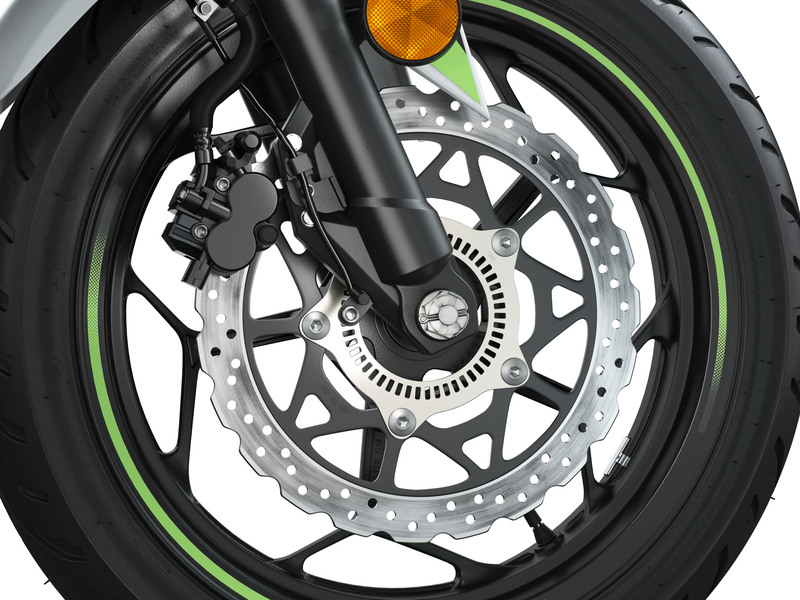 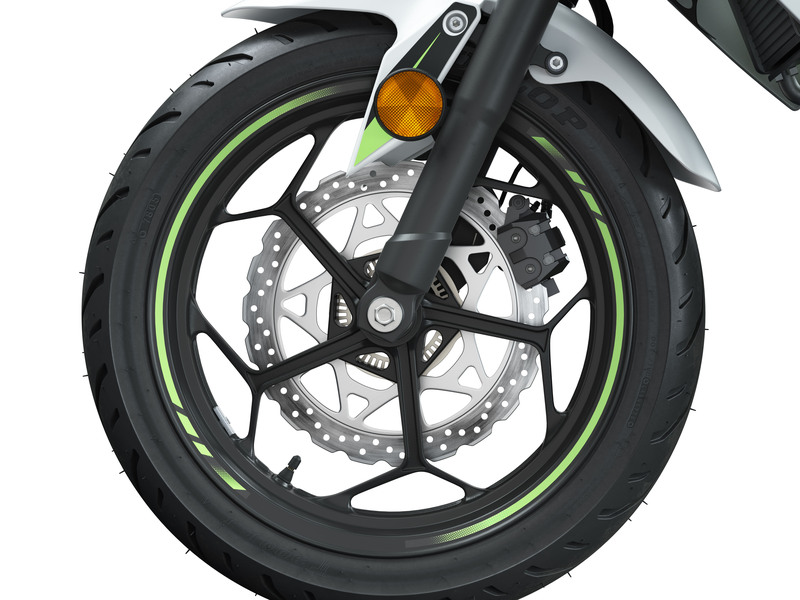 The braking system is comprised of a twin-piston front caliper with 290mm disc on the front wheel and a dual-piston caliper with 220mm disc on the rear wheel. 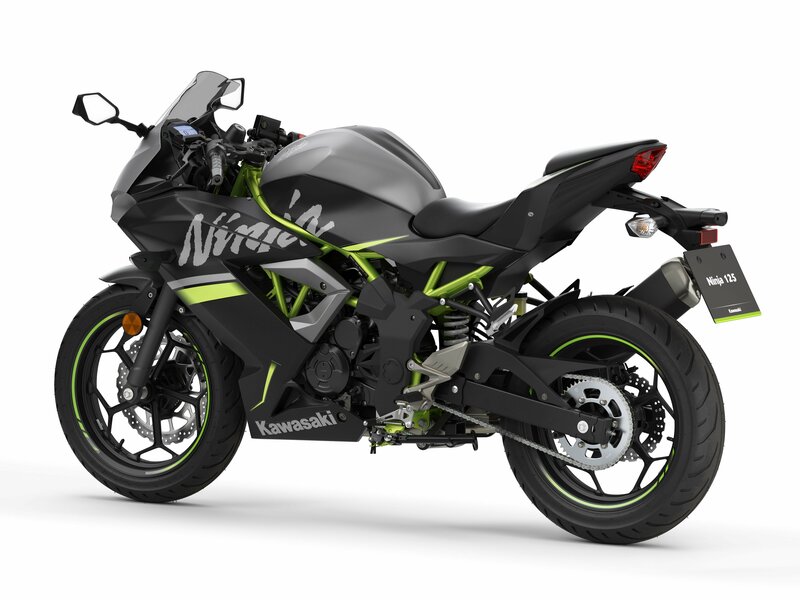 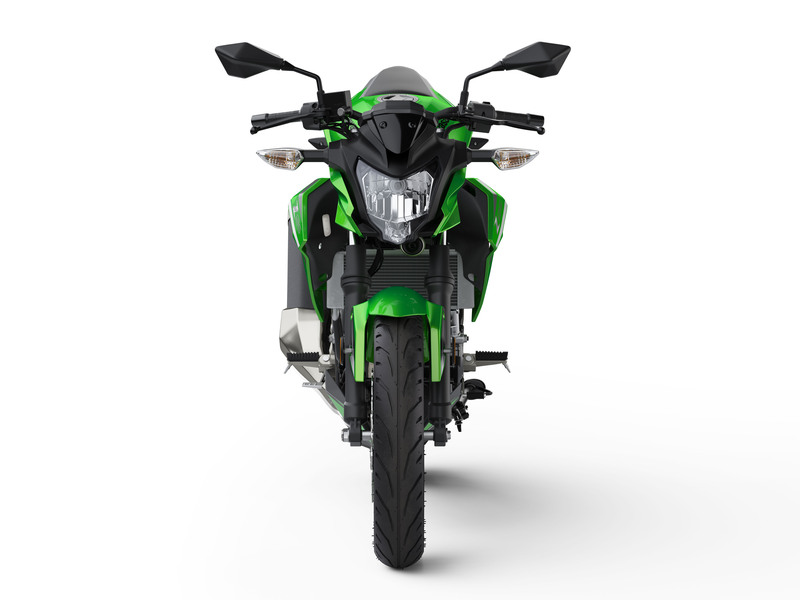 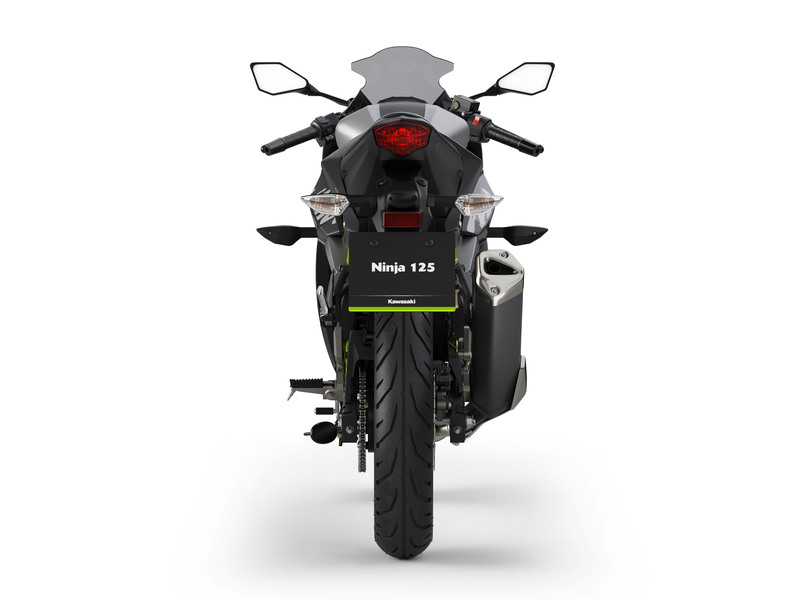 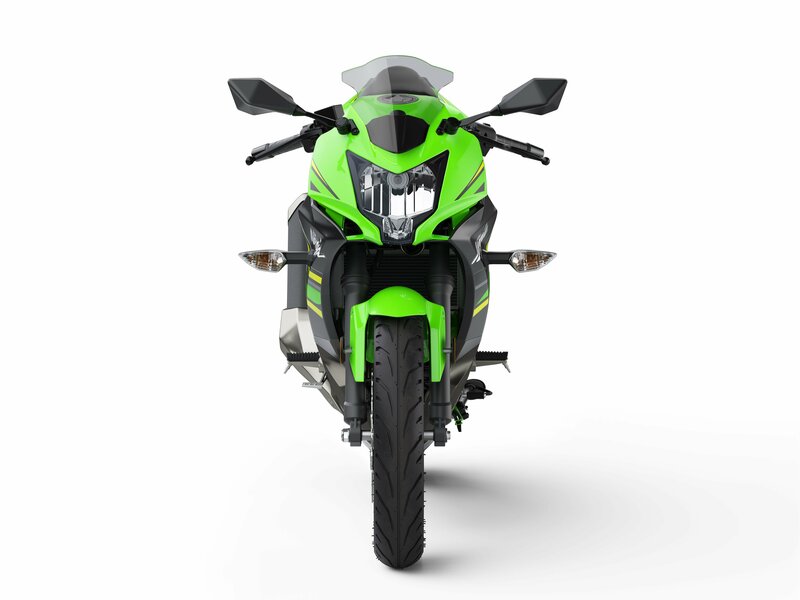 The Ninja 125 draws inspiration from Kawasaki’s larger sportbikes, though with a single headlight which it shares with the Z125. 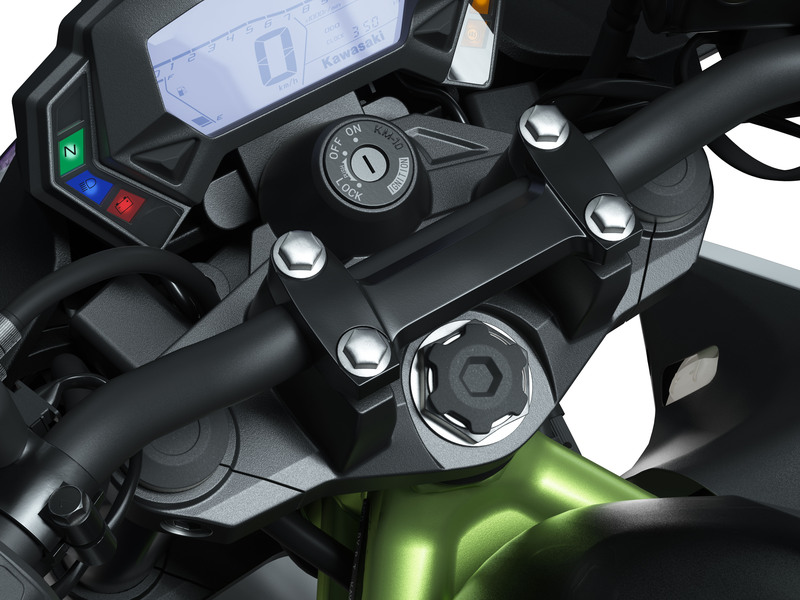 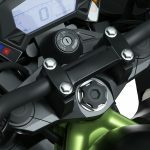 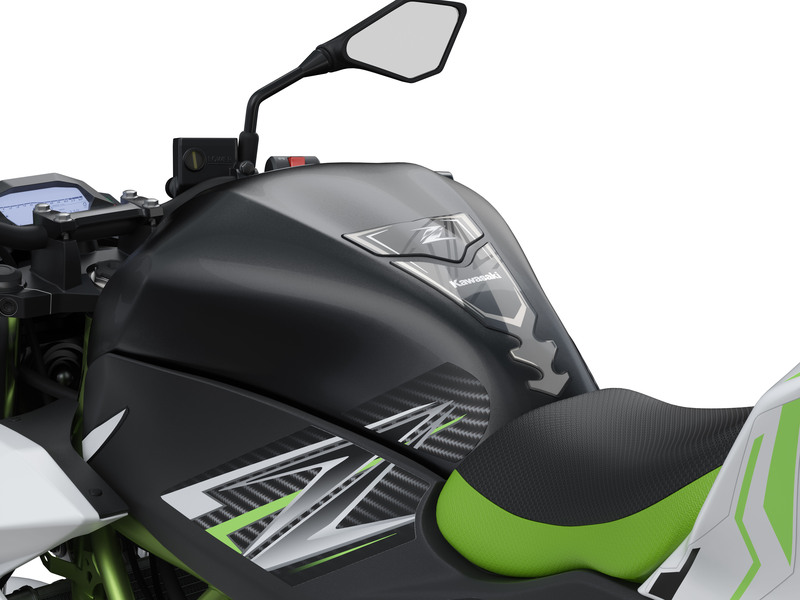 Clip-on handlebars create a sportier riding posture than on the Z125, while a 30.9-inch seat height helps provide an easy reach to the ground for new riders (taller riders can opt for a higher 31.7-inch seat). 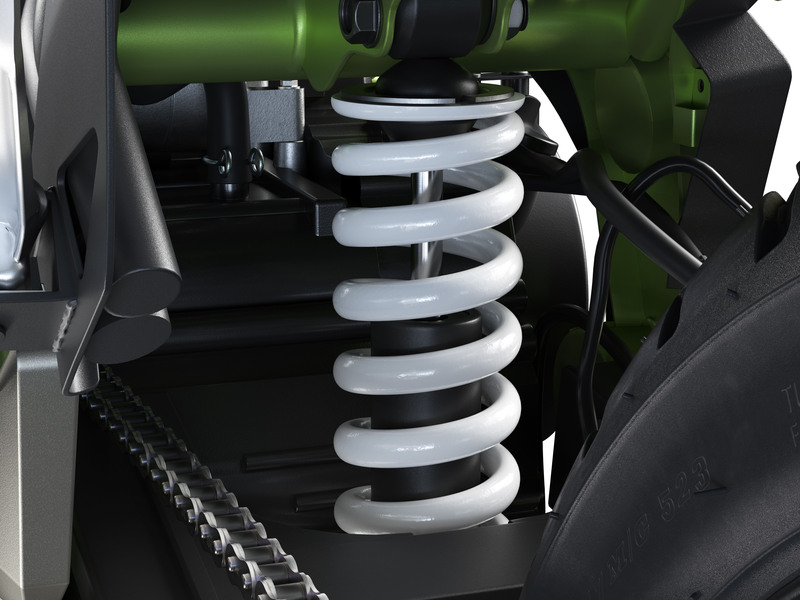 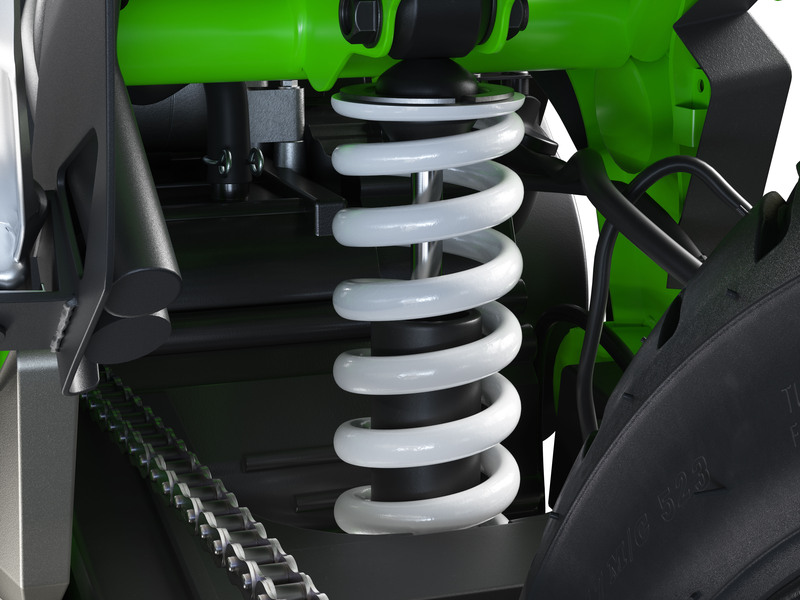 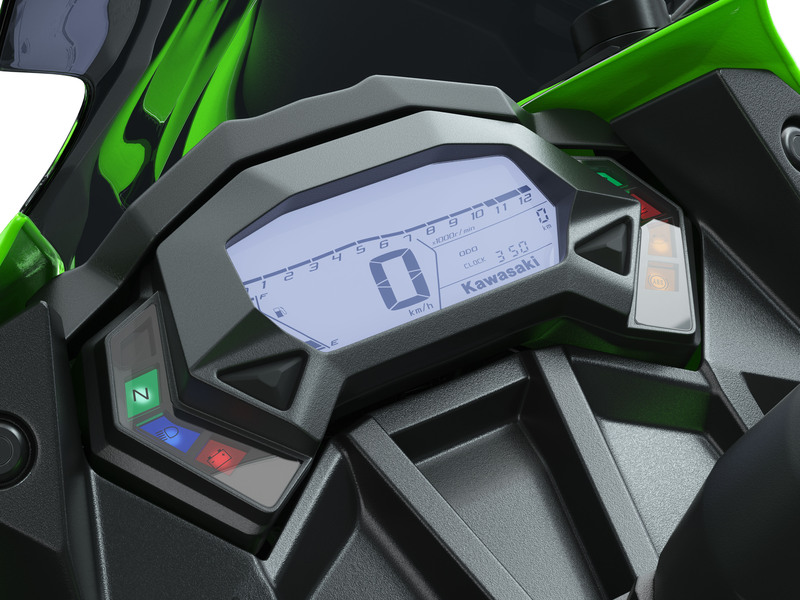 Kawasaki claims a curb weight of 326 pounds. 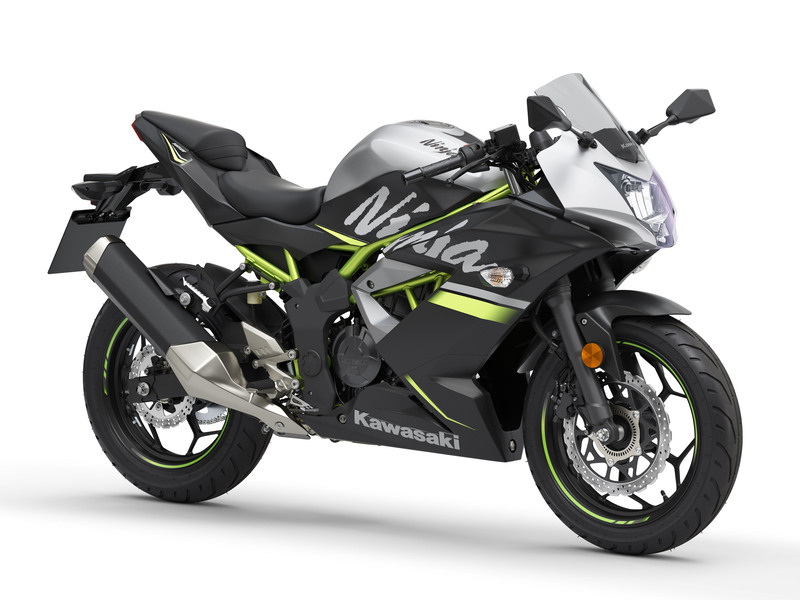 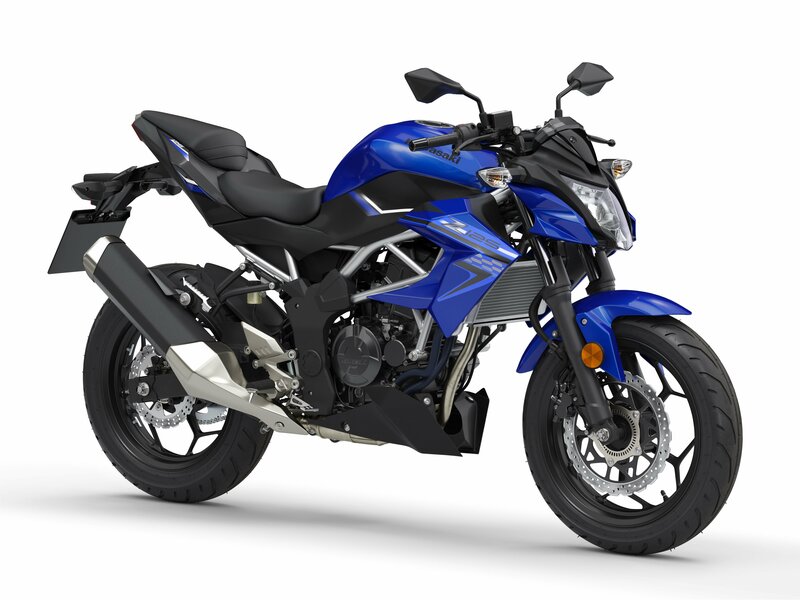 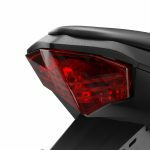 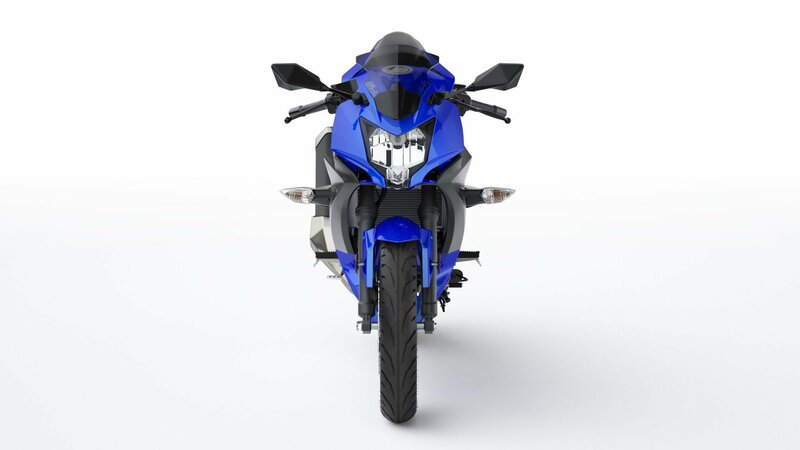 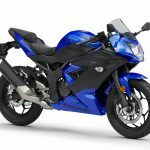 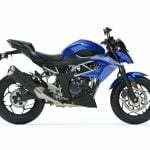 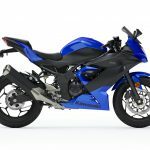 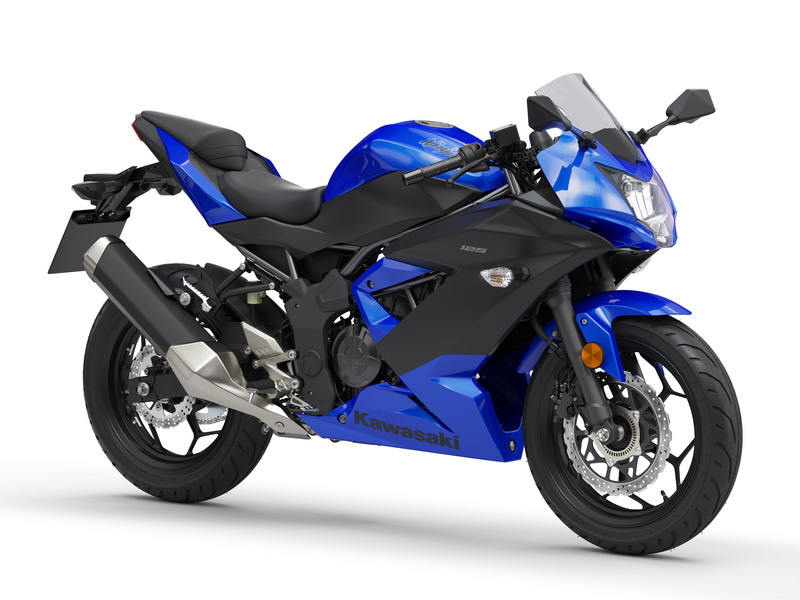 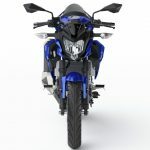 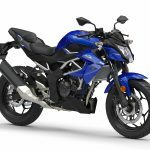 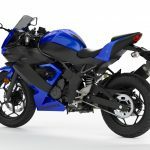 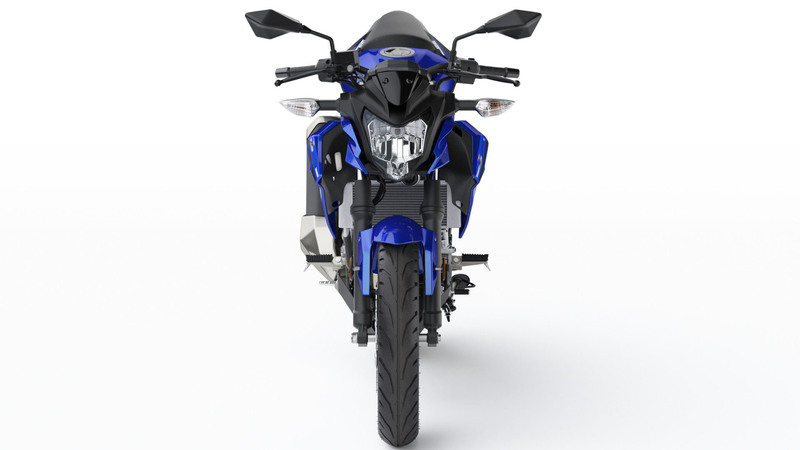 The 2019 Kawasaki Ninja 125 will be offered in three color options: Candy Plasma Blue/Metallic Flat Spark Black, Line Green/Ebony/Metallic Graphite Gray and Metallic Flat Spark Black/Metallic Matte Fusion Silver. 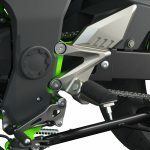 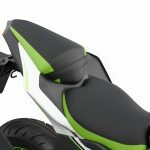 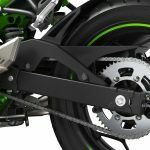 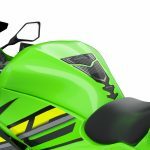 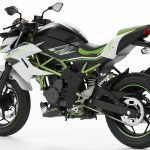 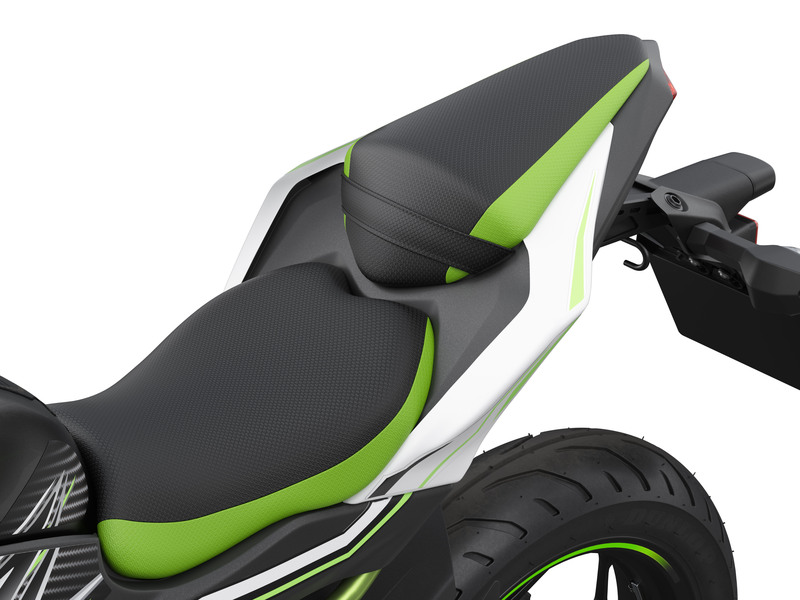 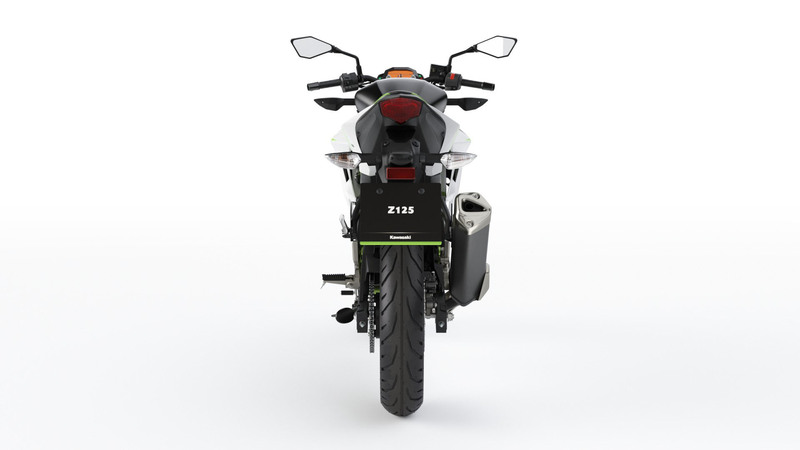 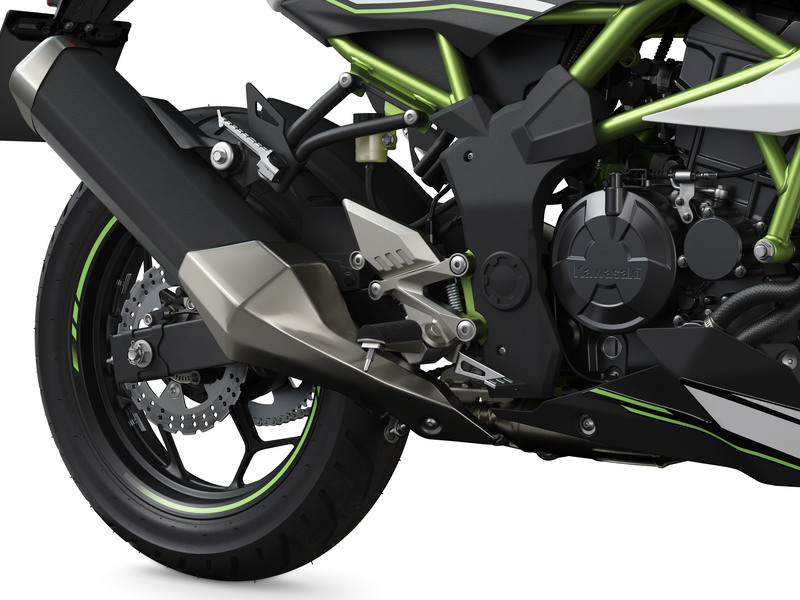 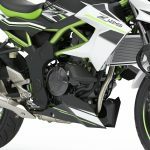 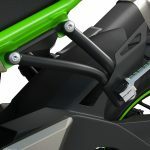 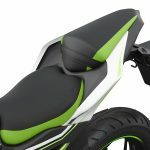 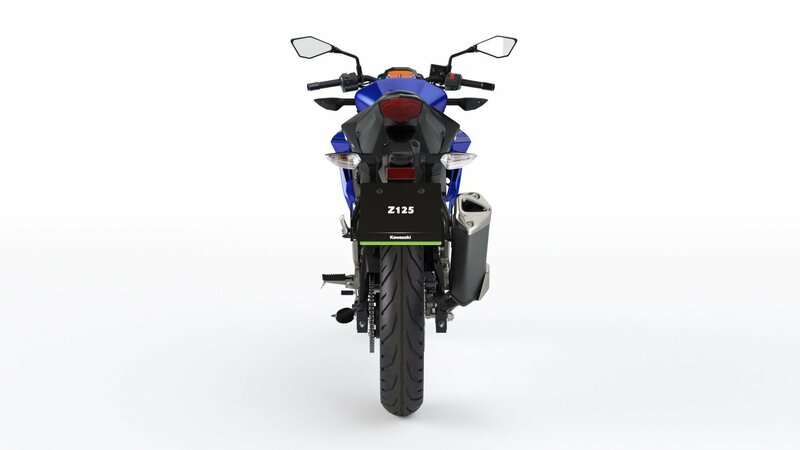 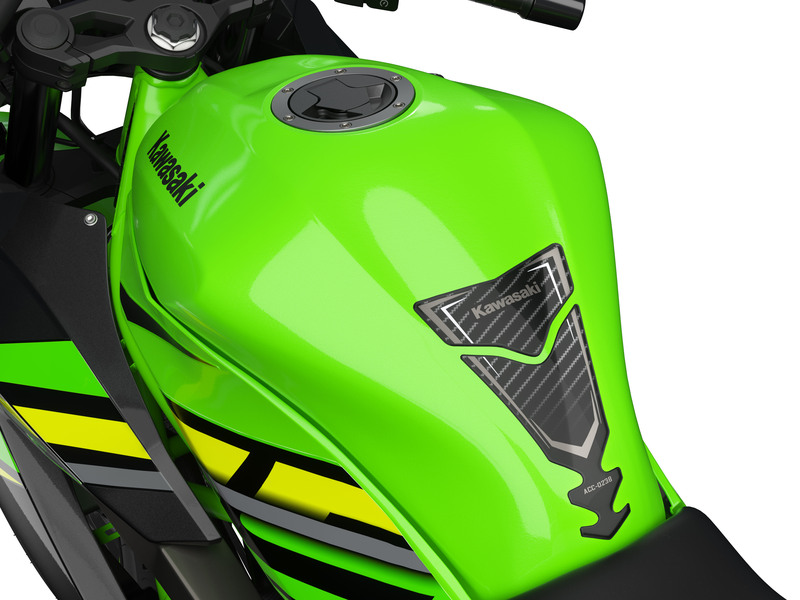 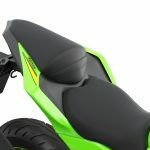 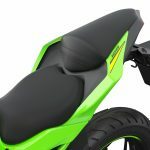 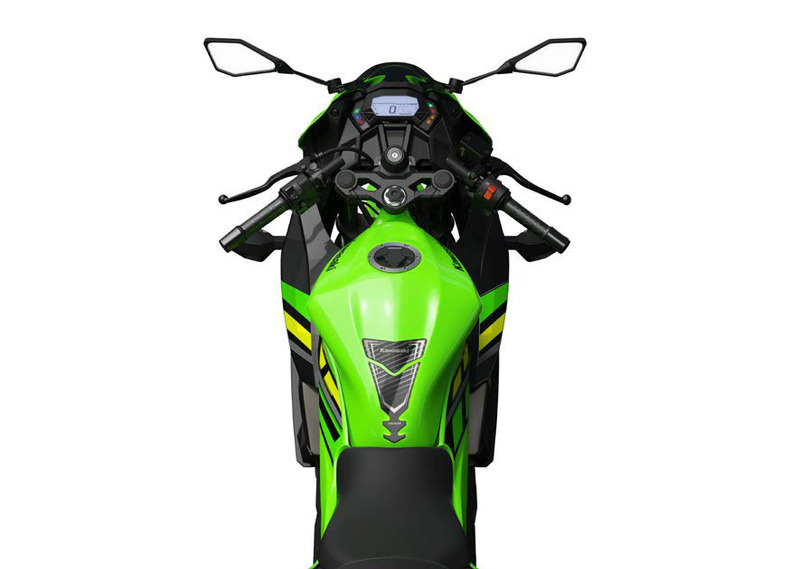 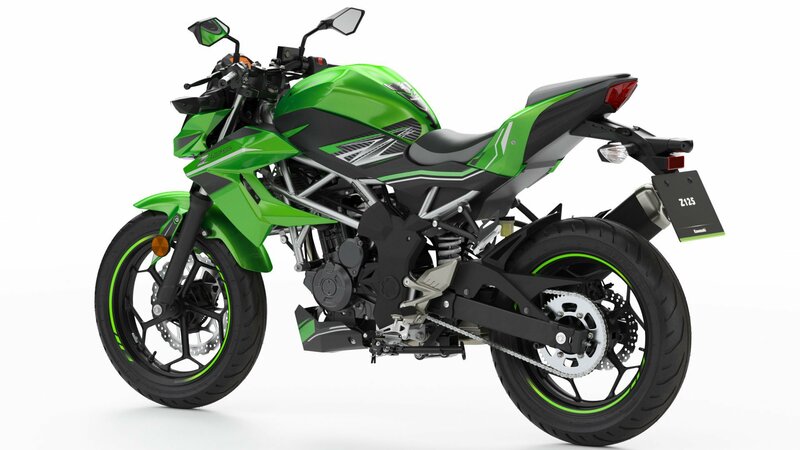 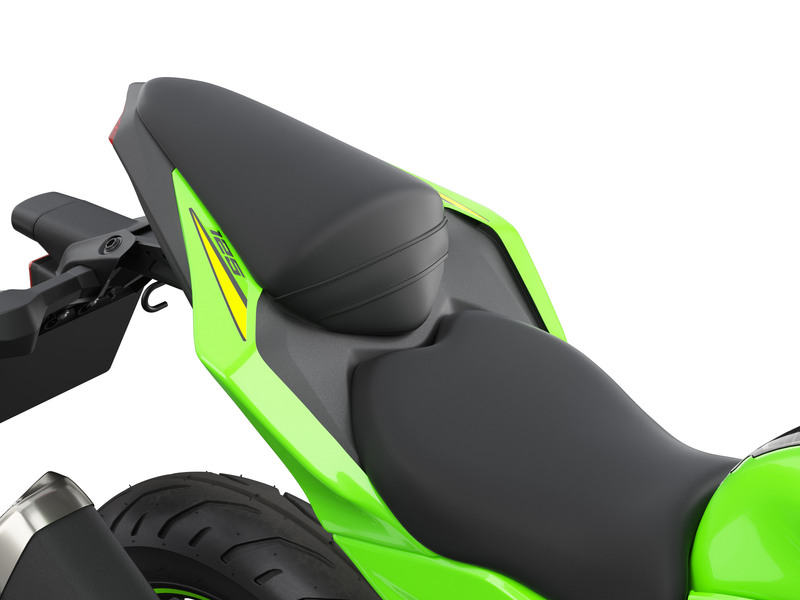 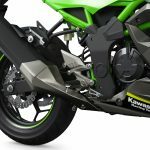 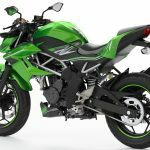 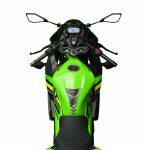 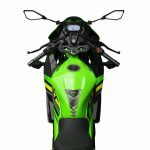 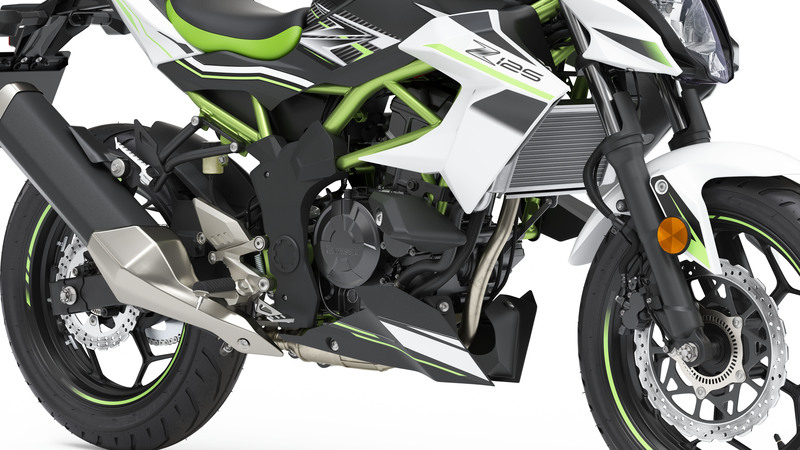 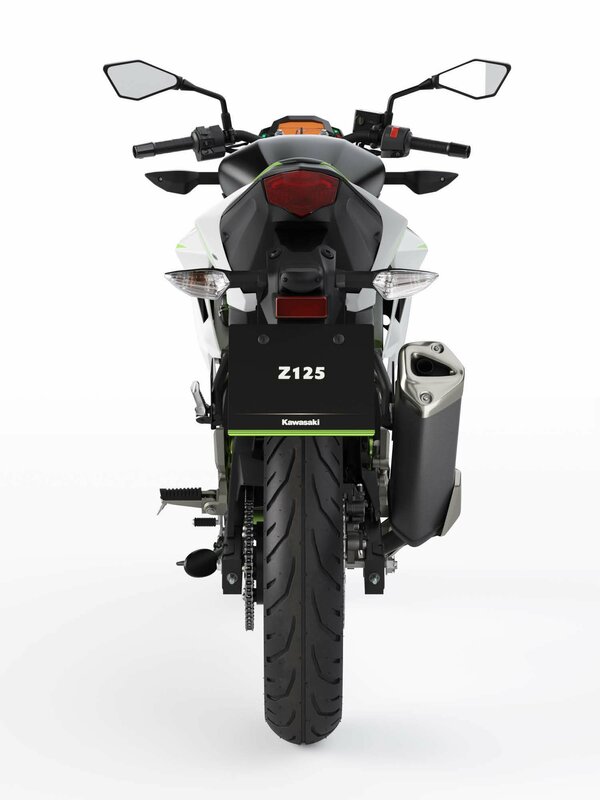 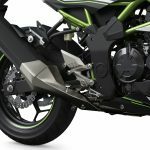 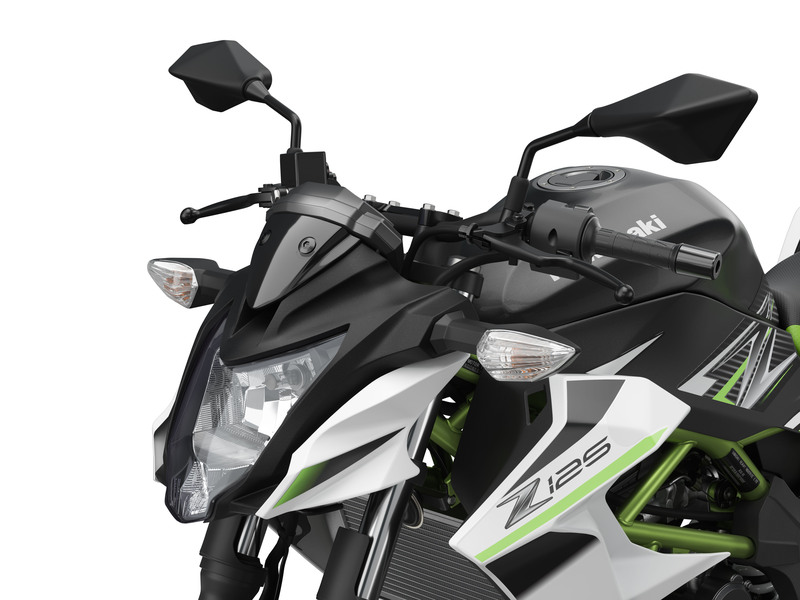 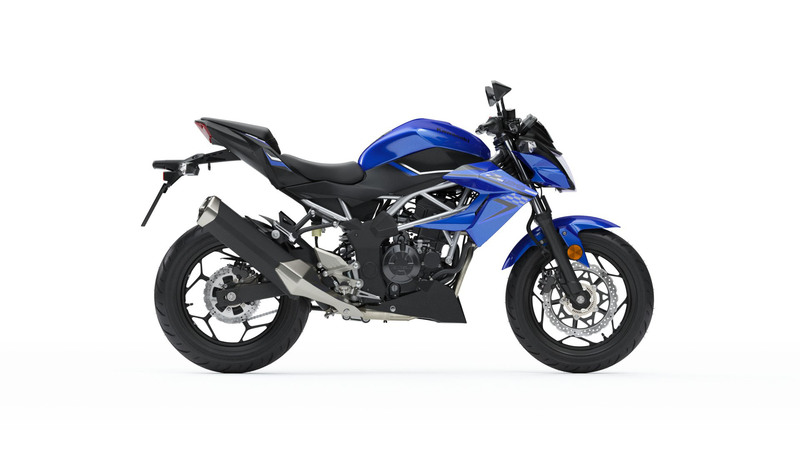 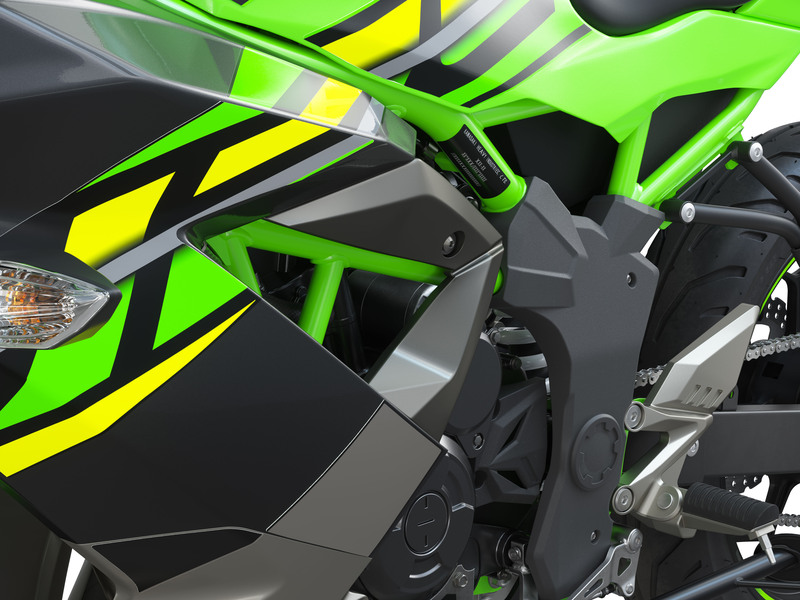 The Z125 (not to be confused with the Z125 Pro; Kawasaki may want to rebrand the mini-bike at this point) has minimal bodywork to show off more of the trellis frame than even the larger Z650 and Z900 models. 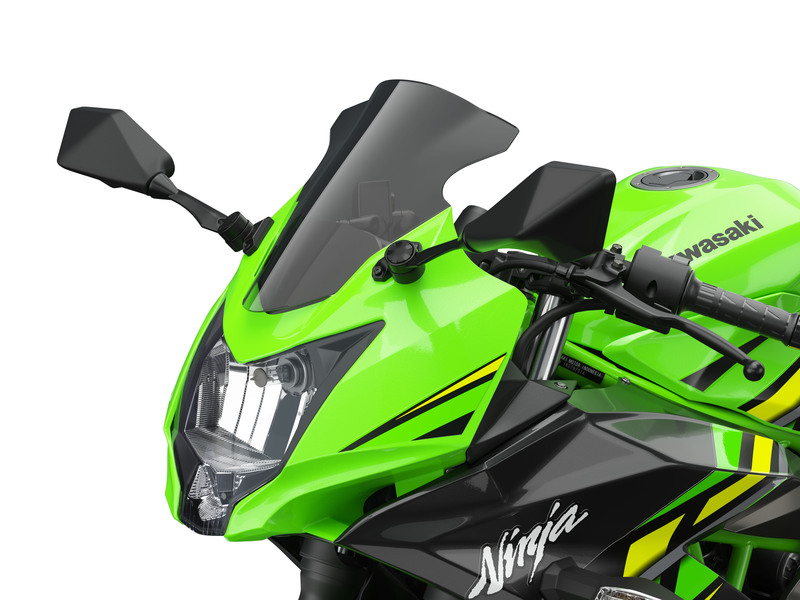 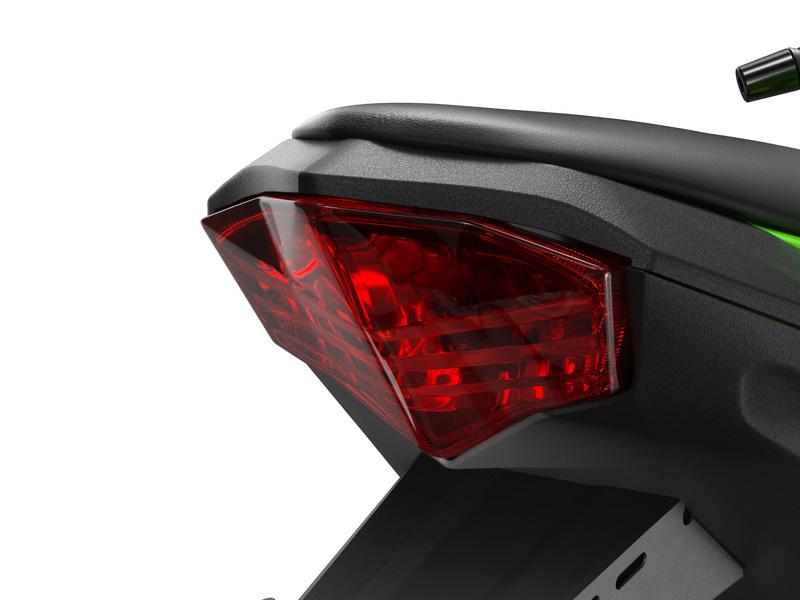 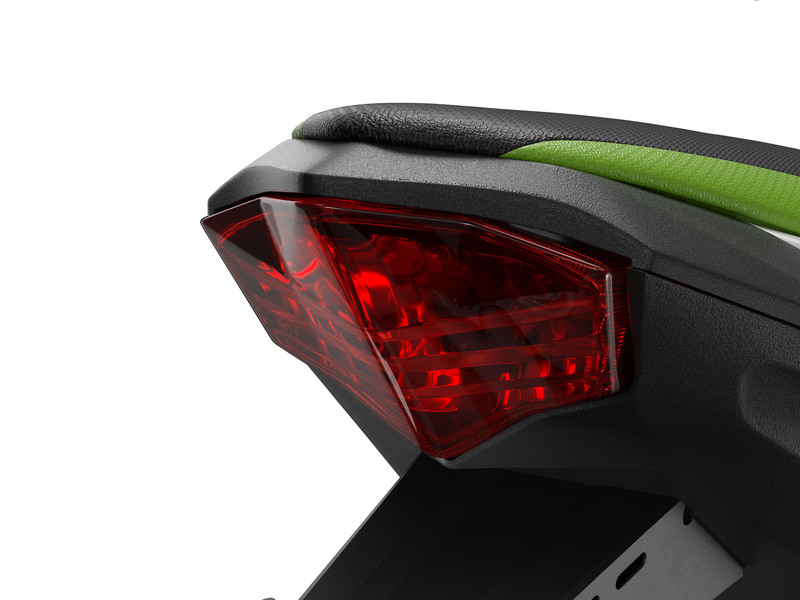 A wide flat handlebar produces a taller riding position than the Ninja 125. 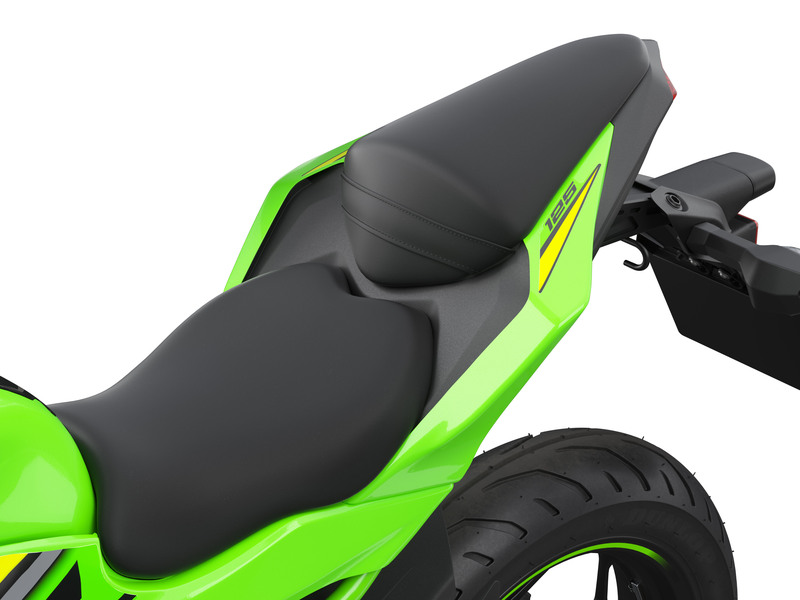 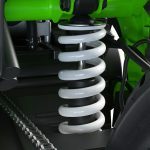 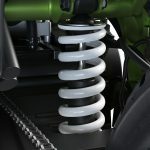 Th seat is also taller at 32.1-inches, though Kawasaki offers an optional lower seat at 31.1 inches. 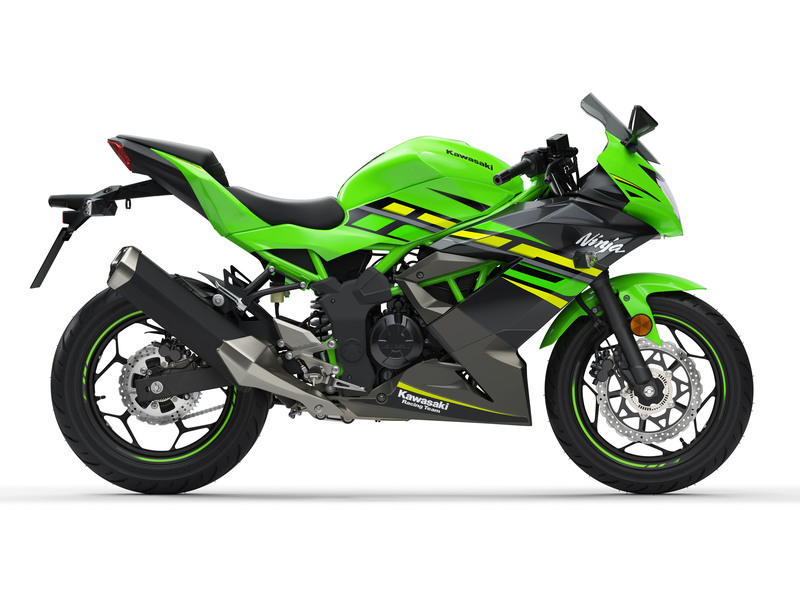 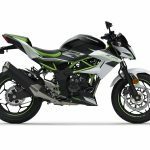 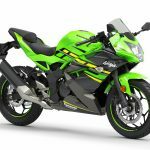 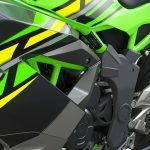 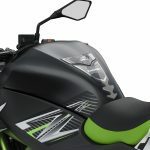 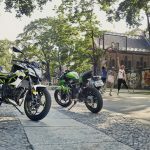 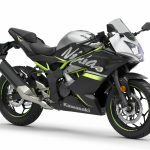 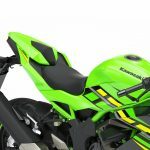 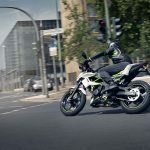 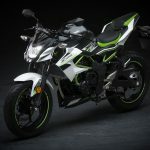 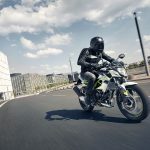 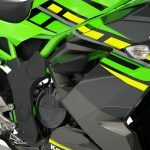 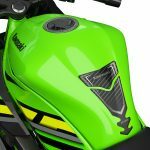 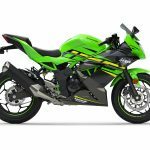 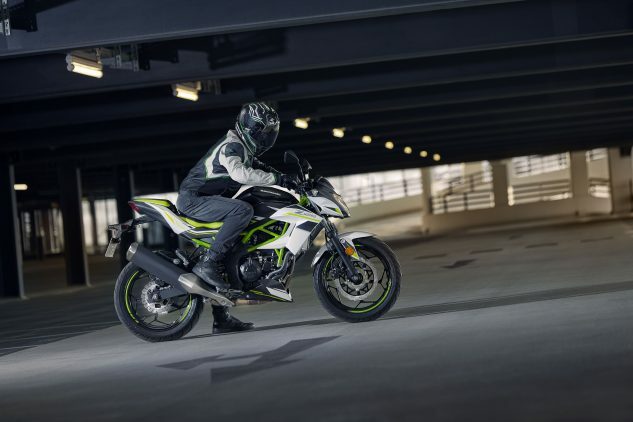 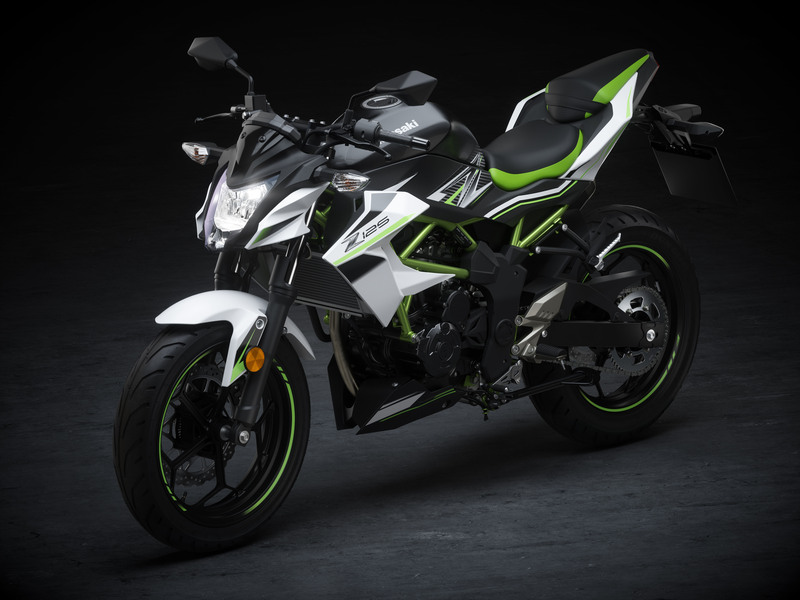 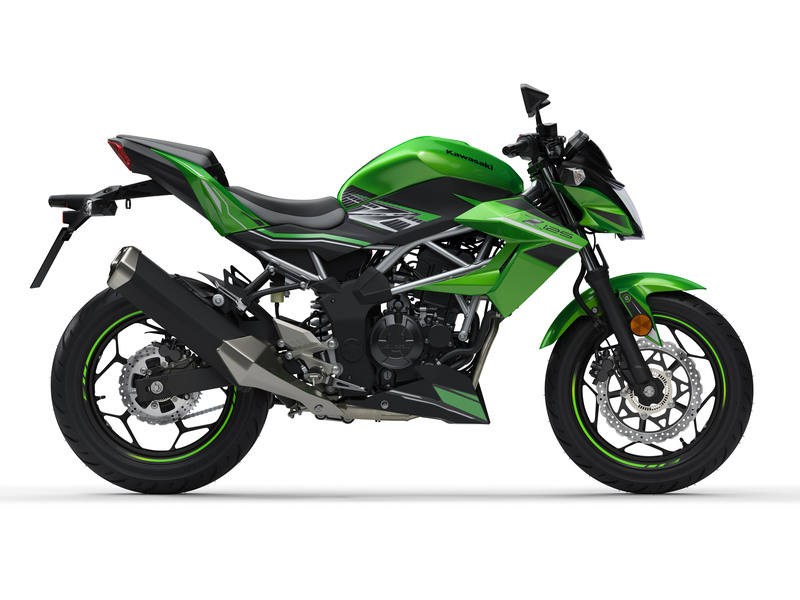 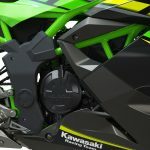 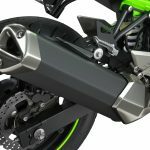 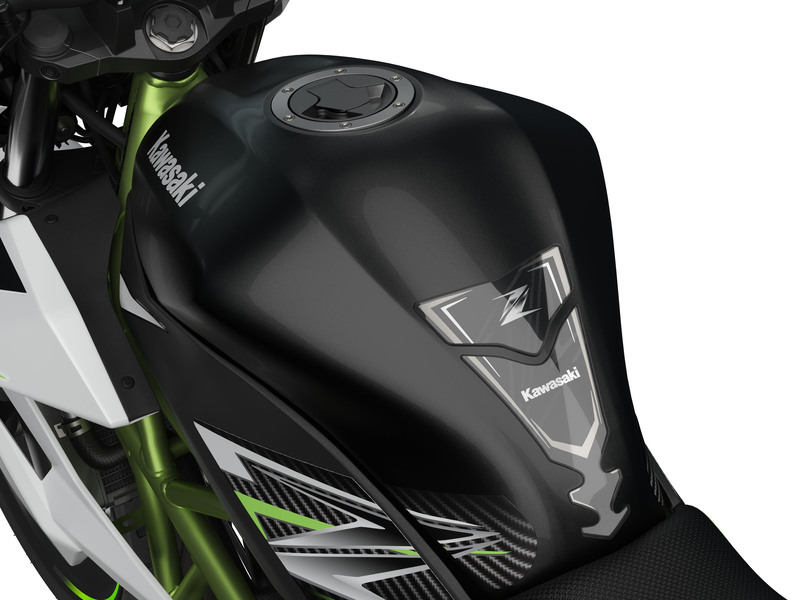 The 2019 Kawasaki Z125 will be offered in Metallic Flat Spark Black/Pearl flat Stardust White, Candy Lime Green/Metallic Flat Spark Black or Candy Plasma Blue/Metallic Spark Black.